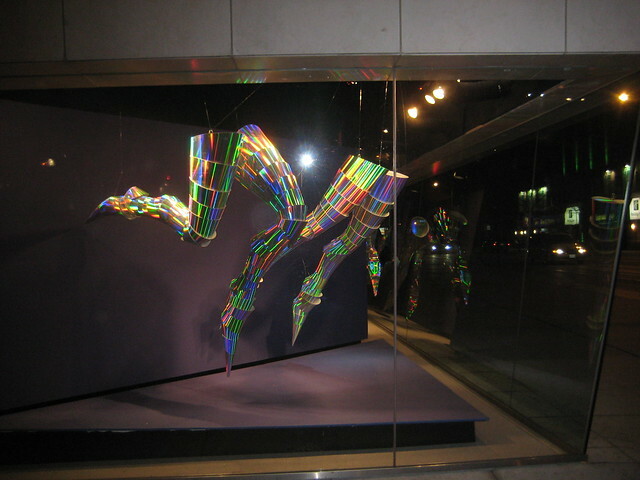 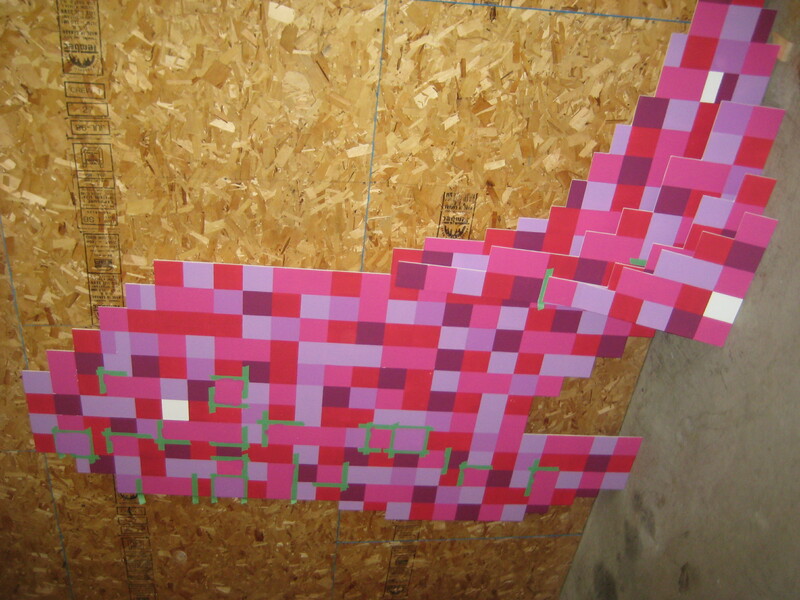 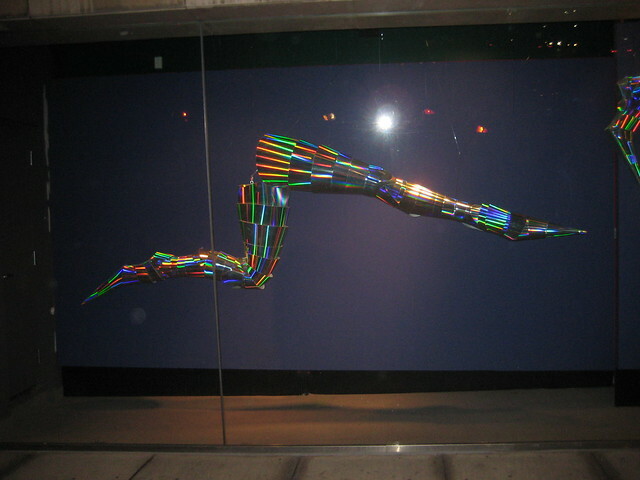 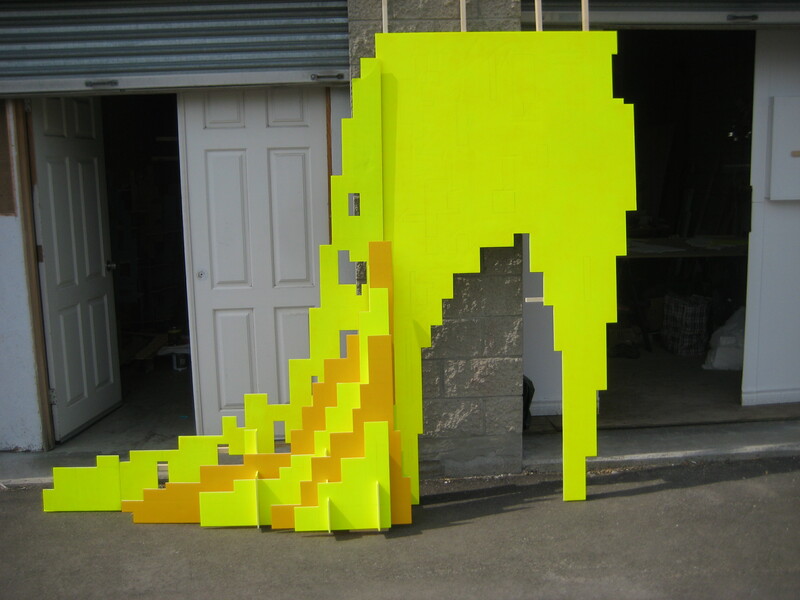 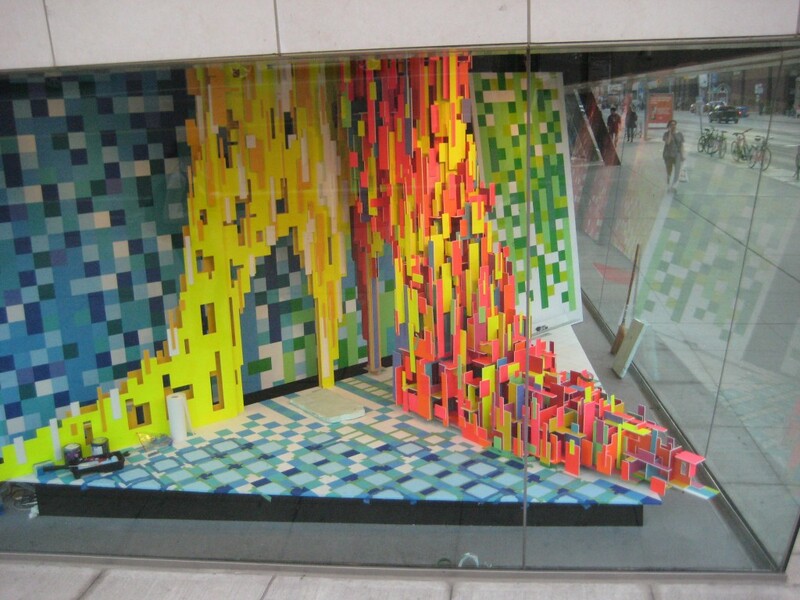 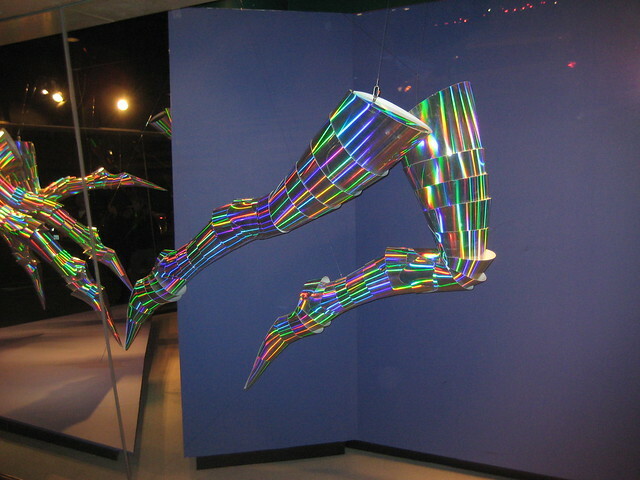 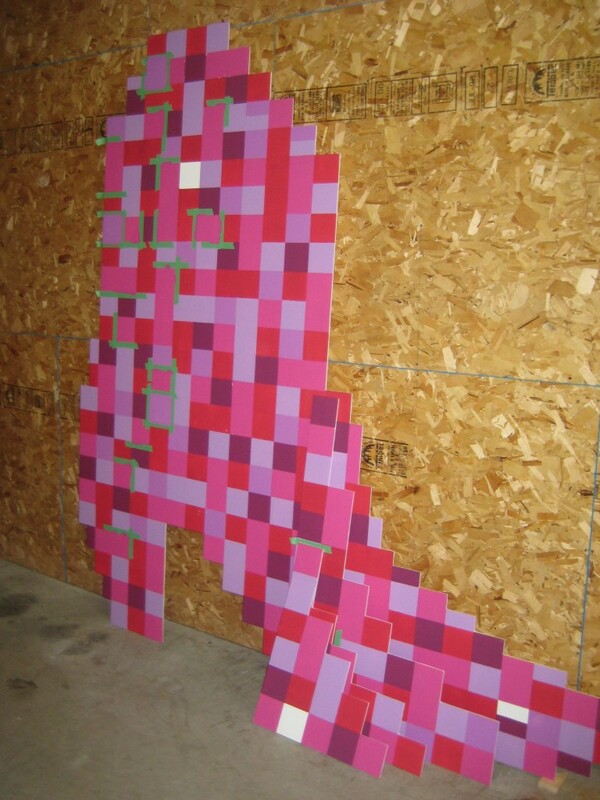 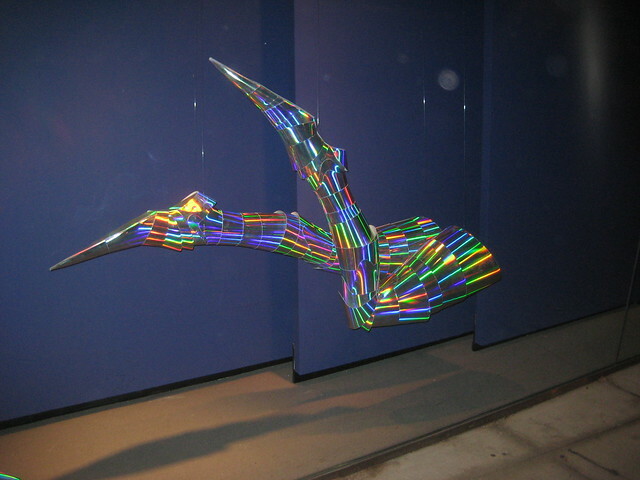 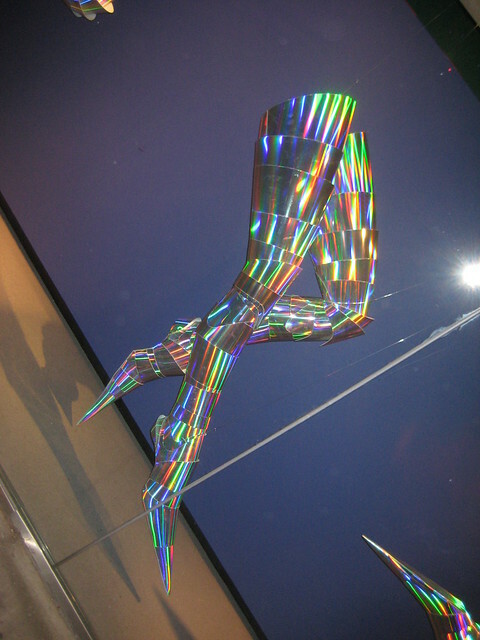 The Pixels Prism window installation was on display at the Bata Shoe Museum from May 2014 until April 2015 in Toronto. 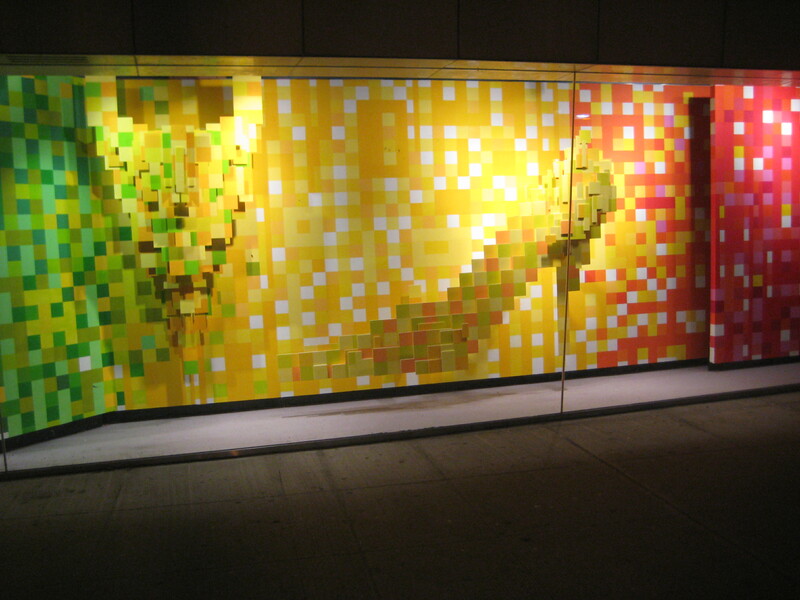 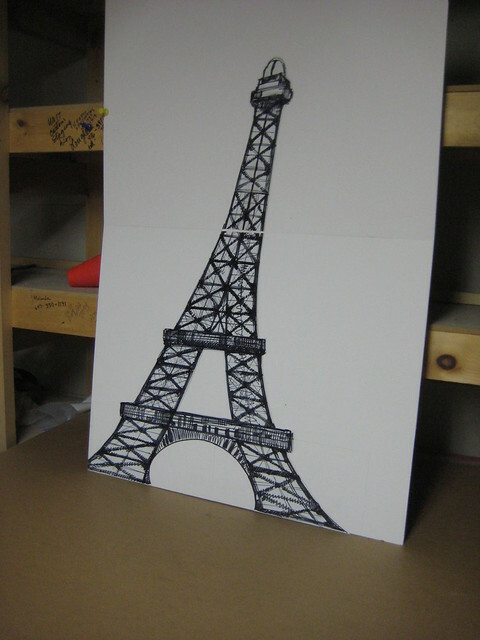 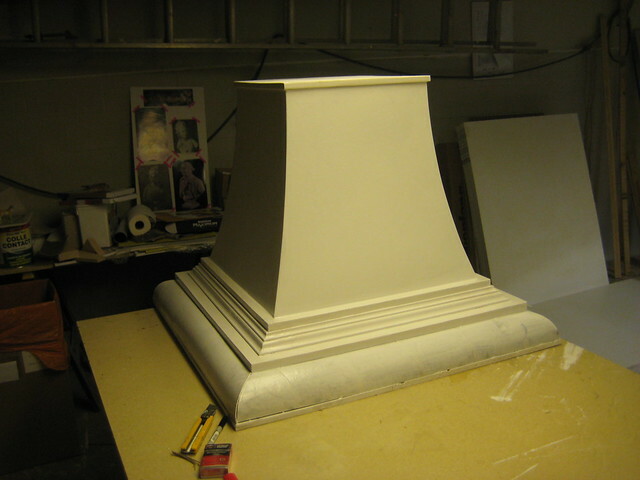 I designed, fabricated and installed this display over the course of two months. 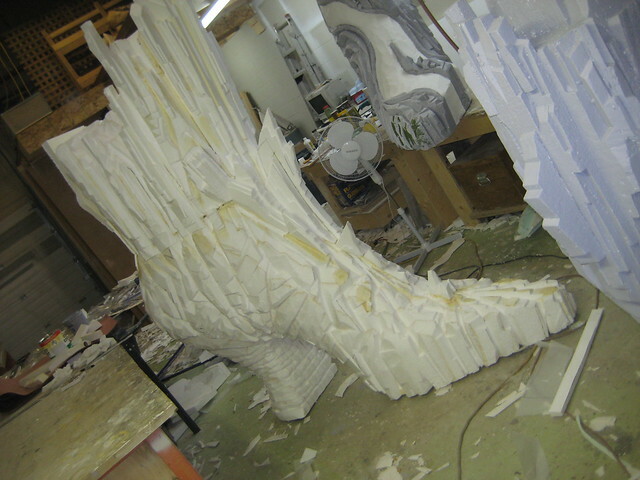 The piece is a celebration of colour and diversity in footwear. 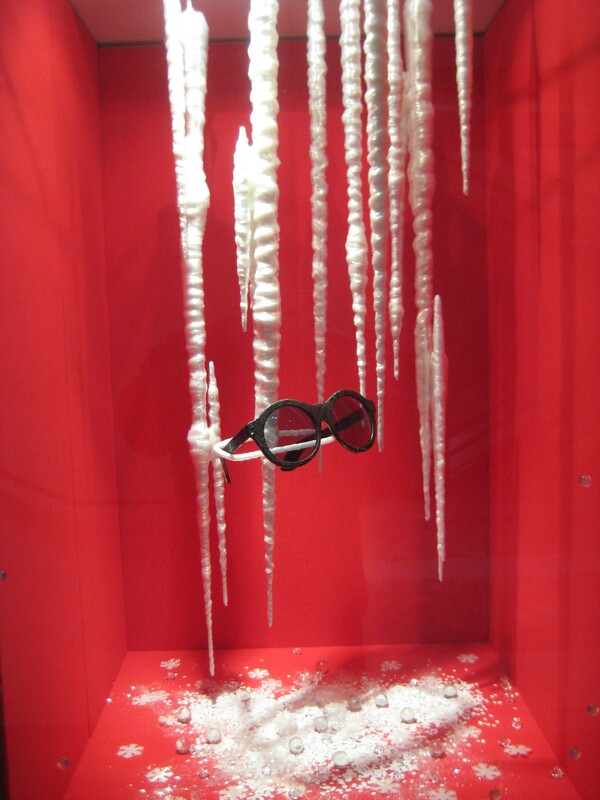 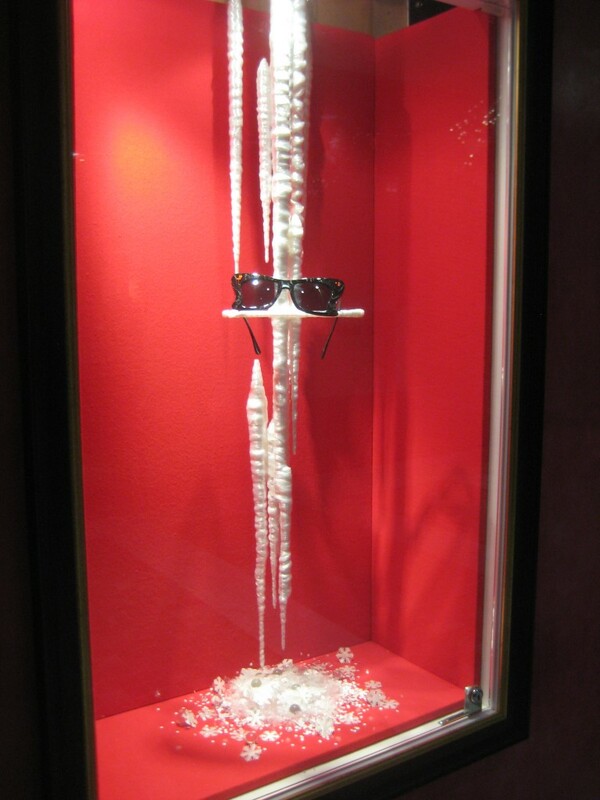 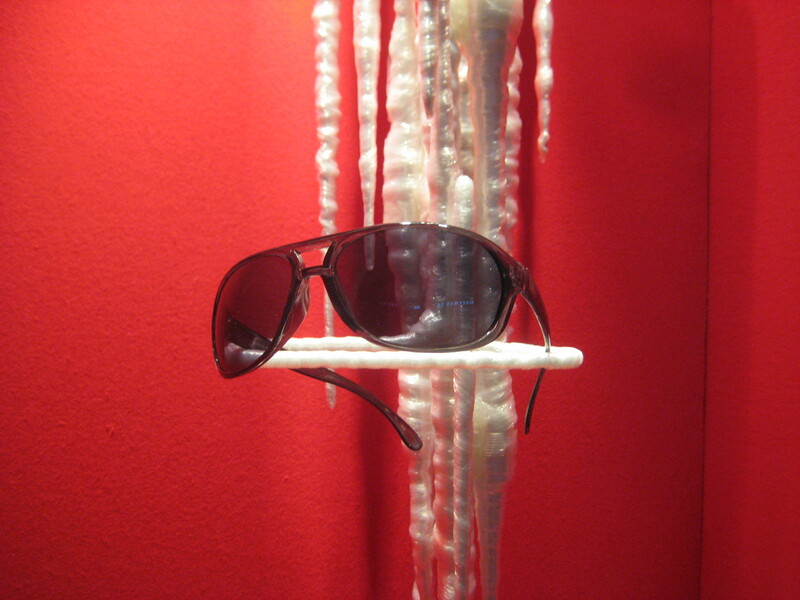 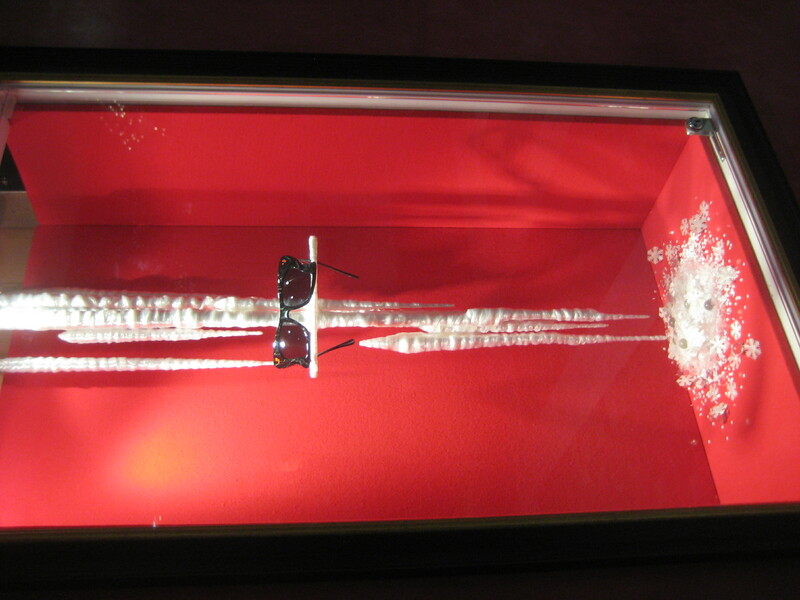 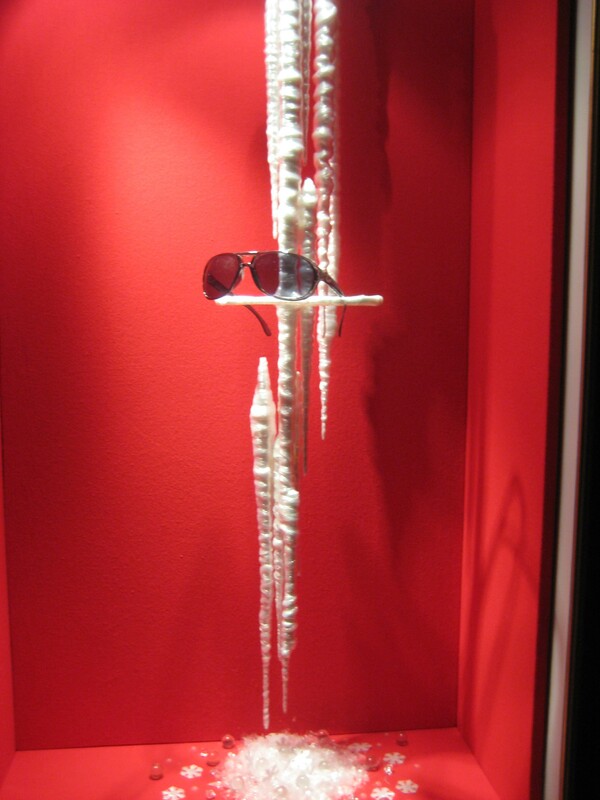 Window display for Karir Eyewear. 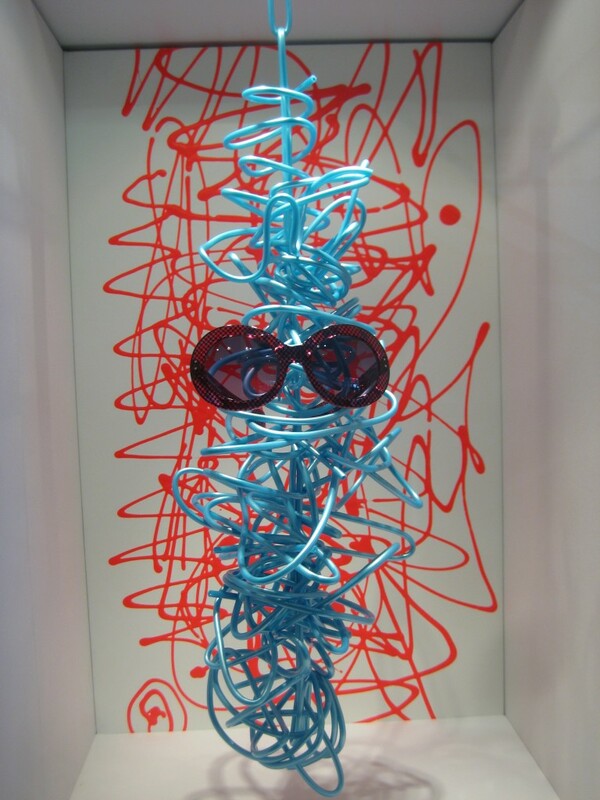 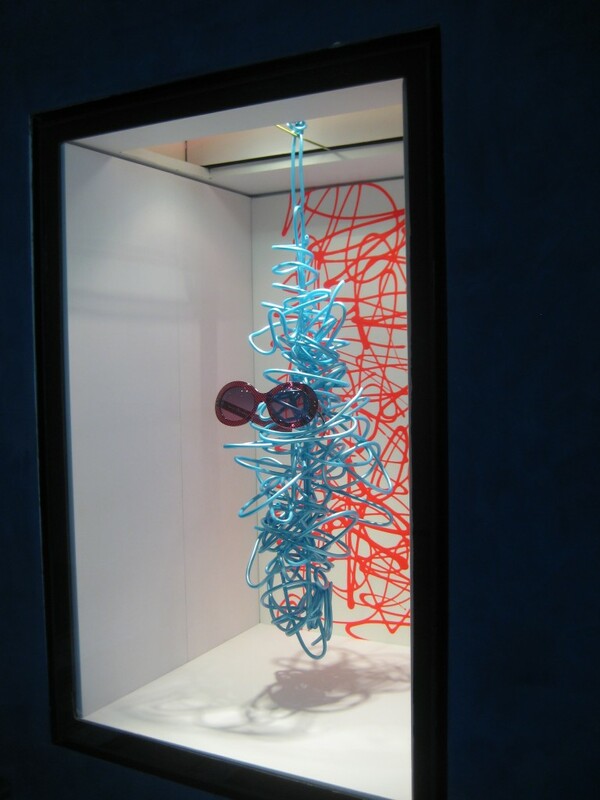 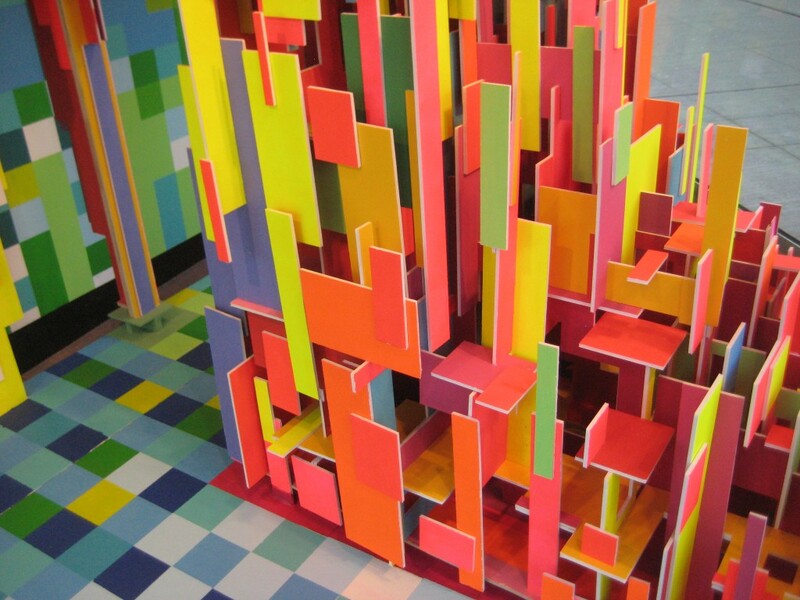 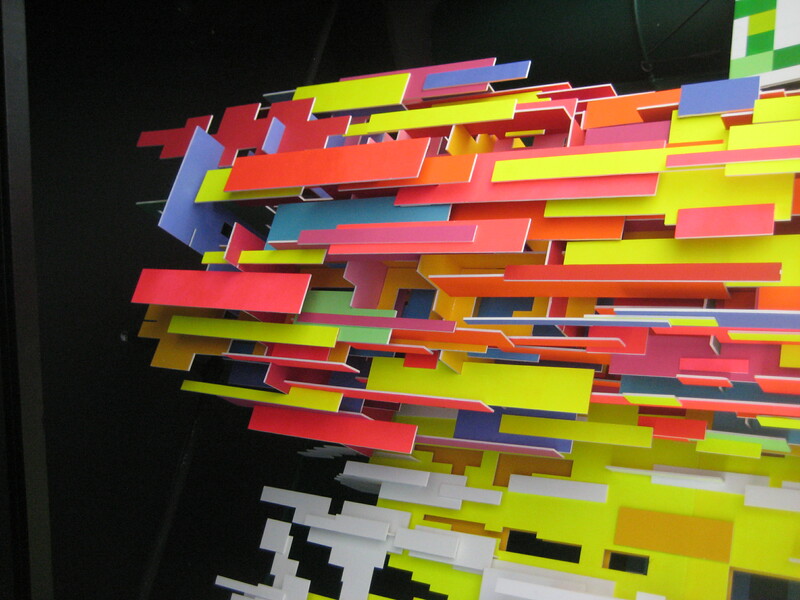 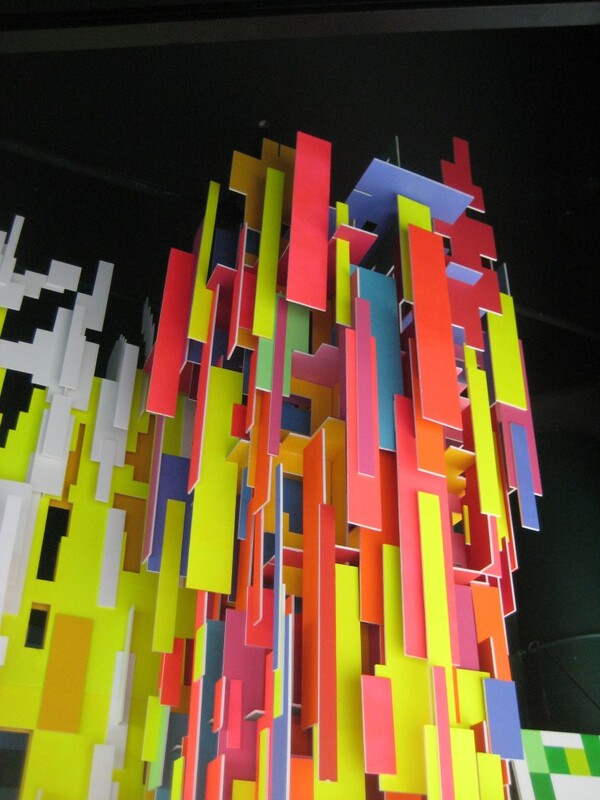 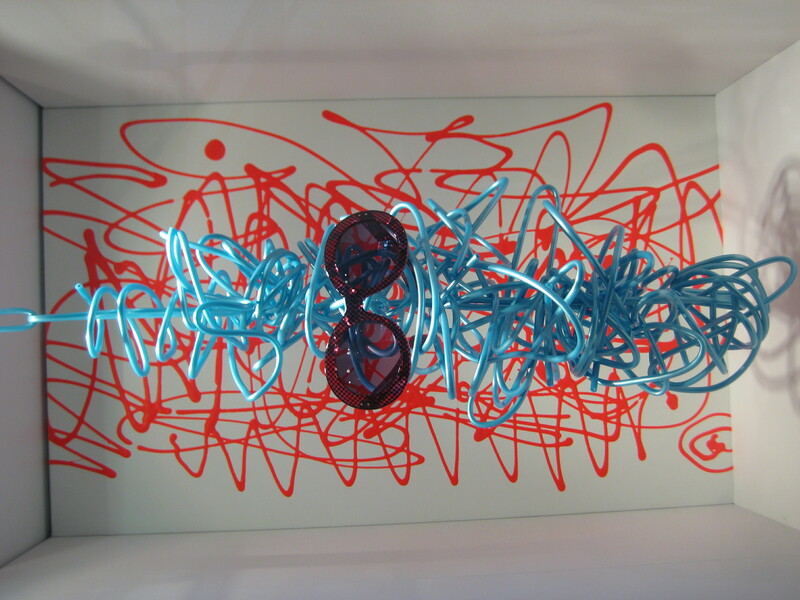 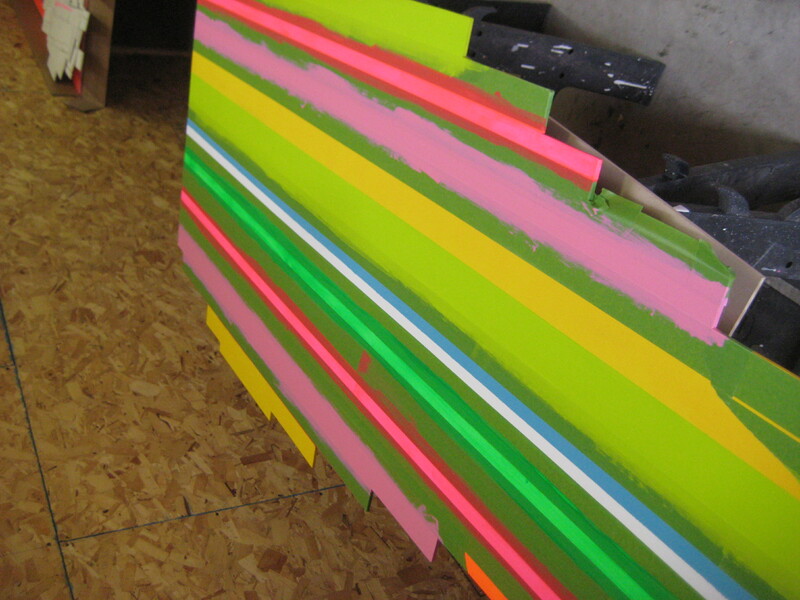 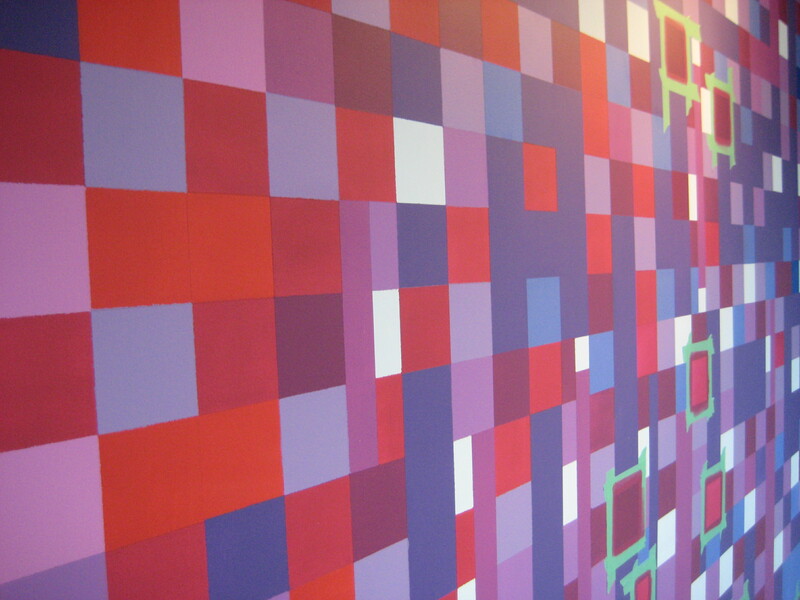 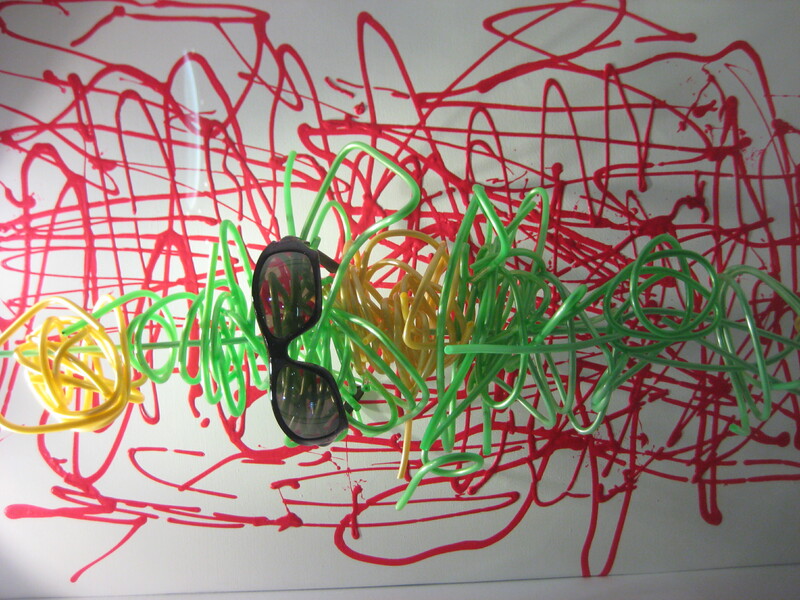 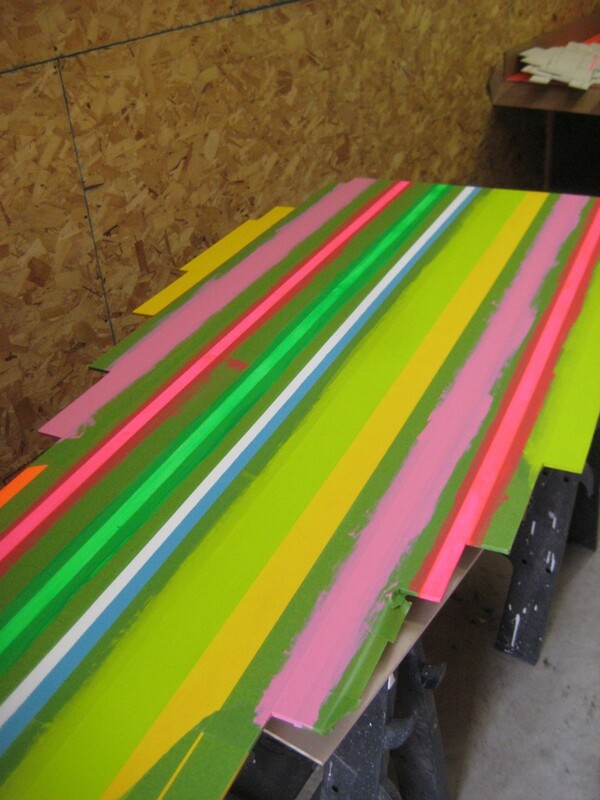 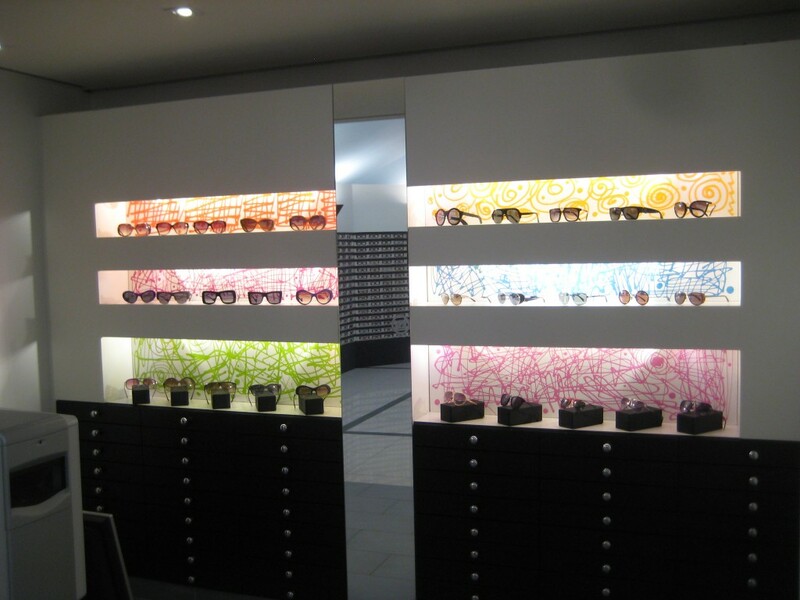 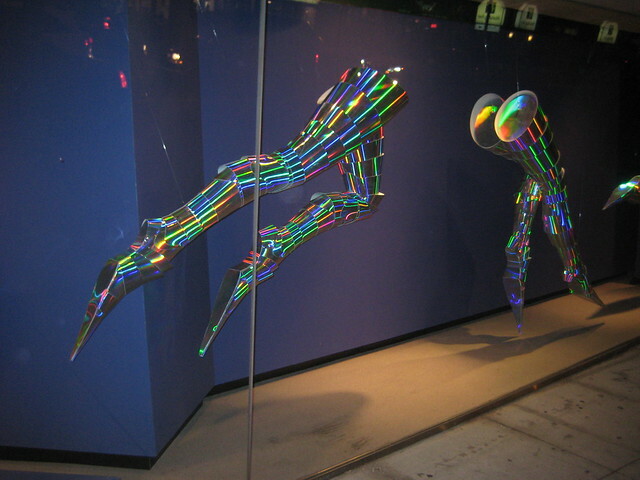 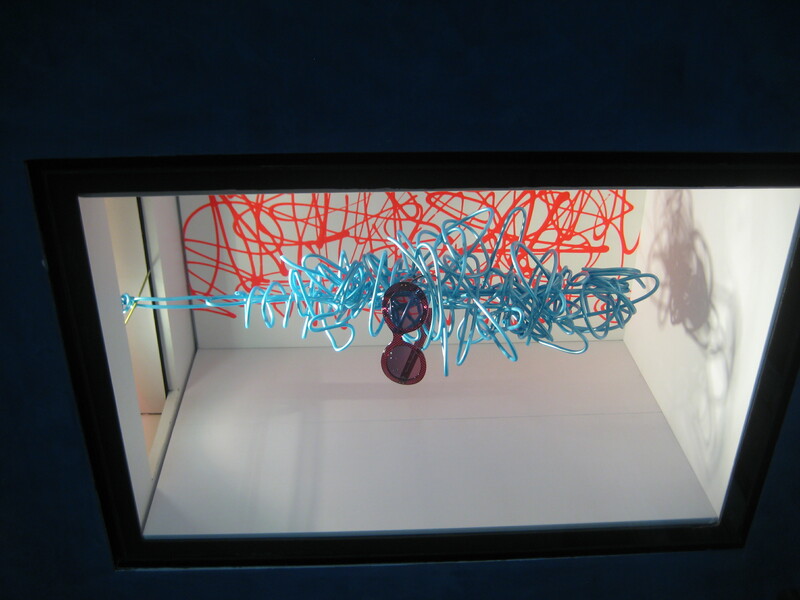 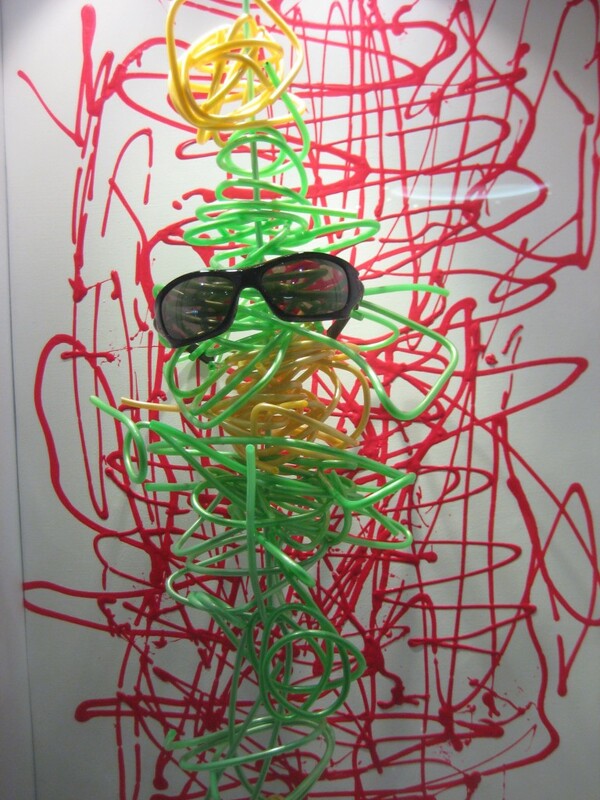 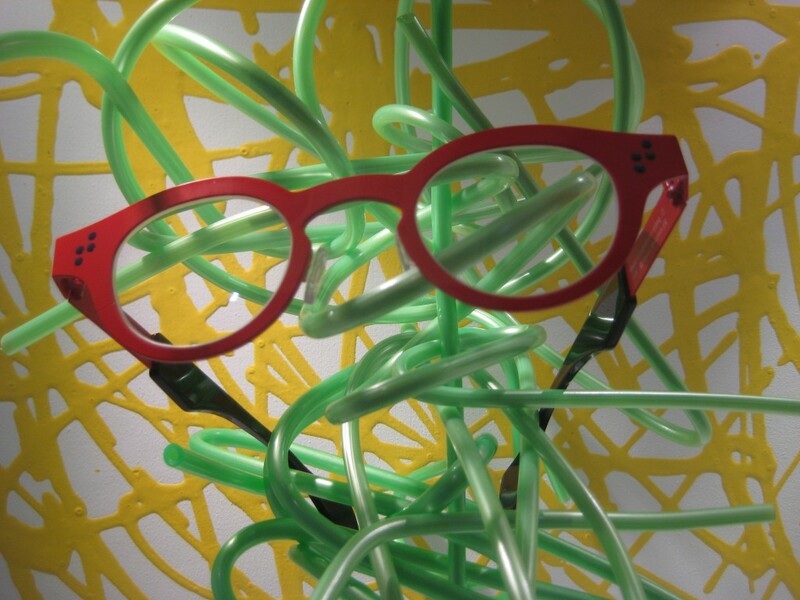 These window displays for Karir Eyewear were about vibrancy and energy. 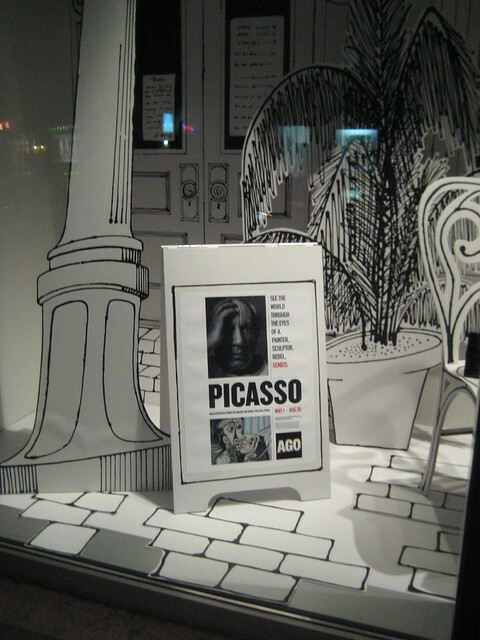 This exhibit at the Art Gallery of Ontario was black and white to highlight the brilliant colours of Picasso’s palette. 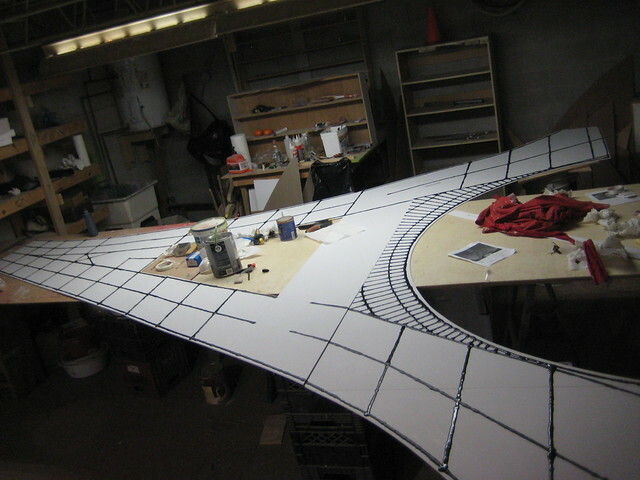 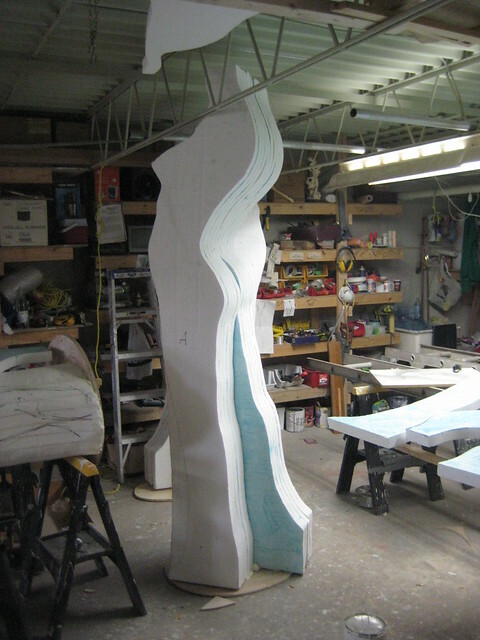 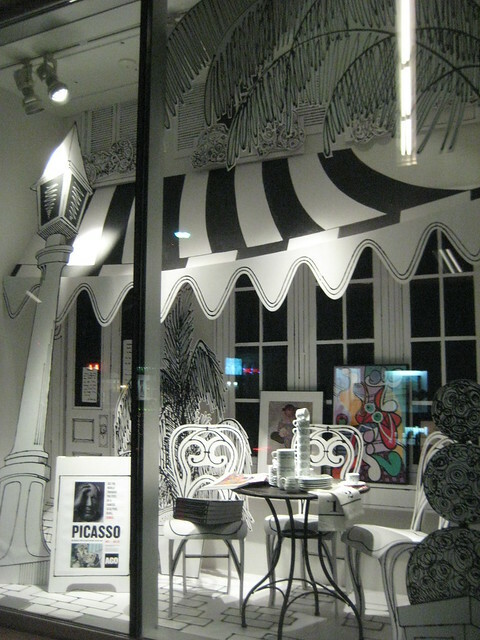 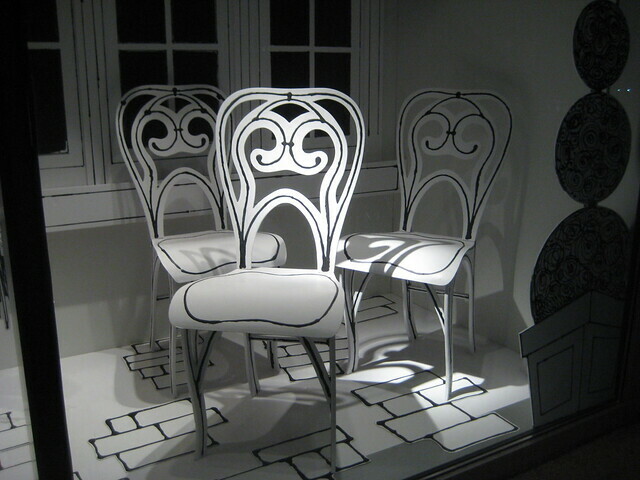 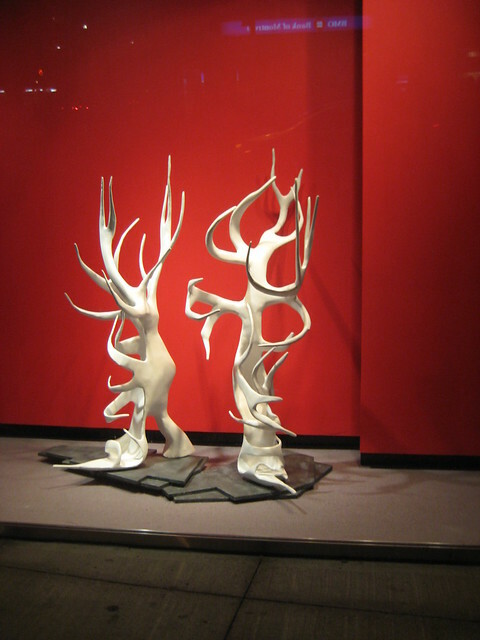 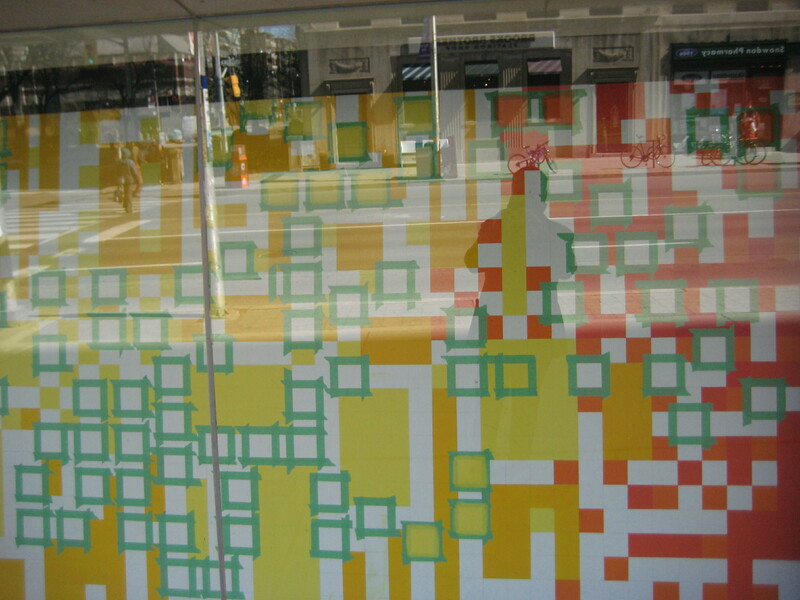 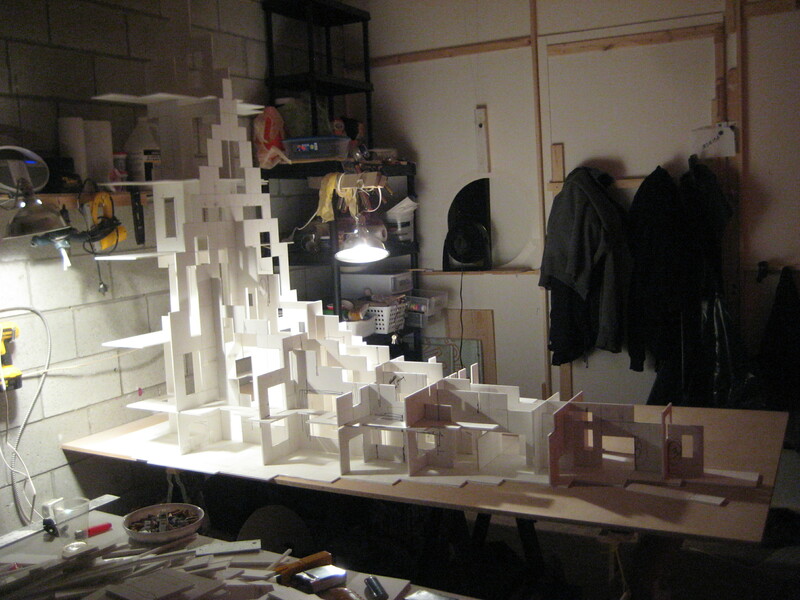 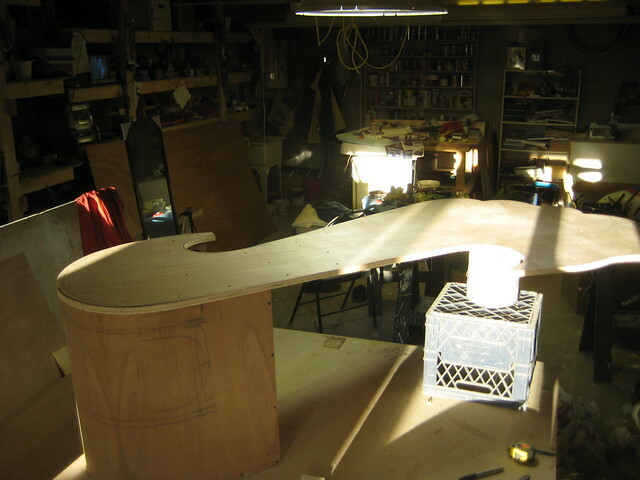 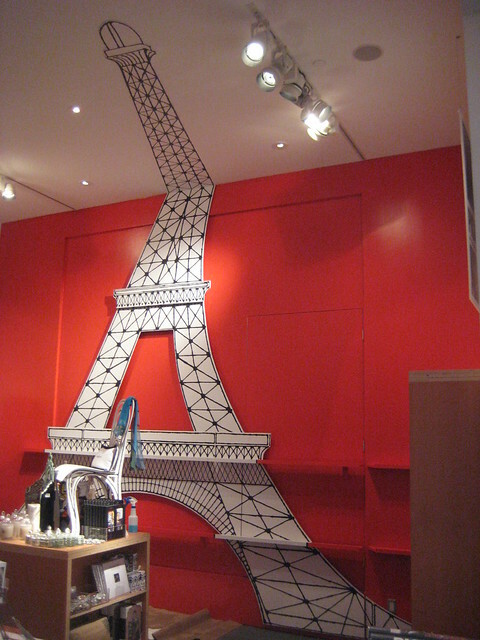 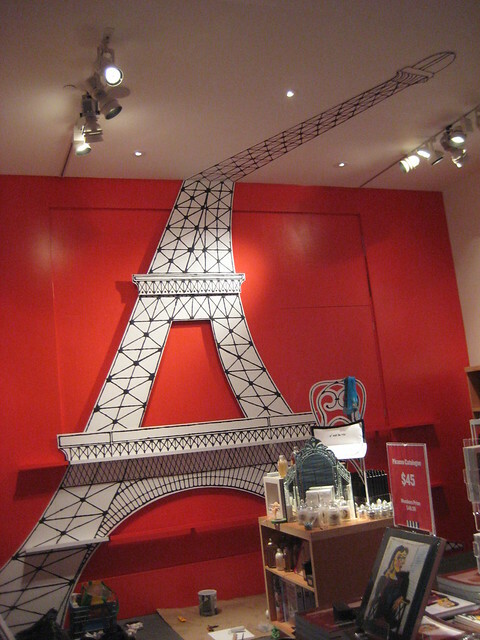 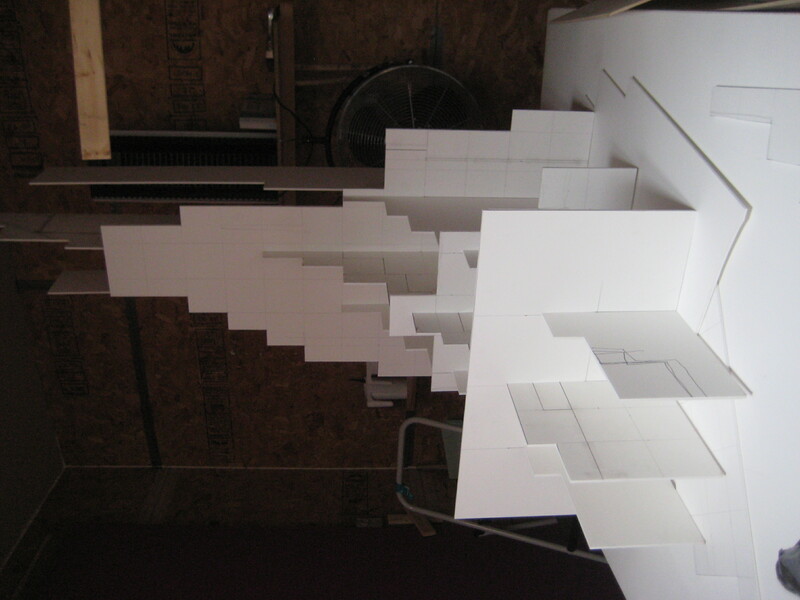 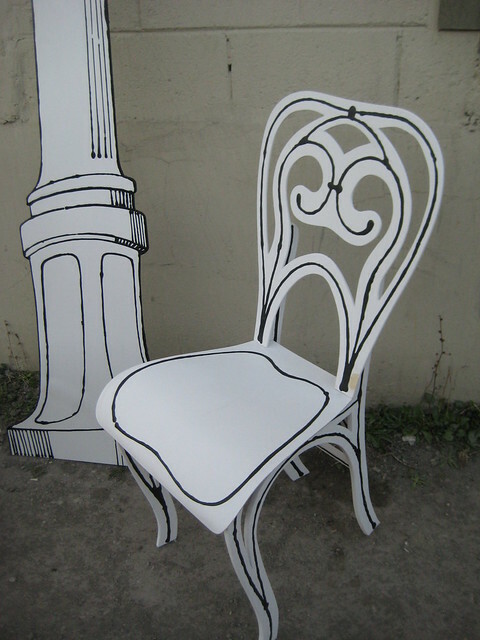 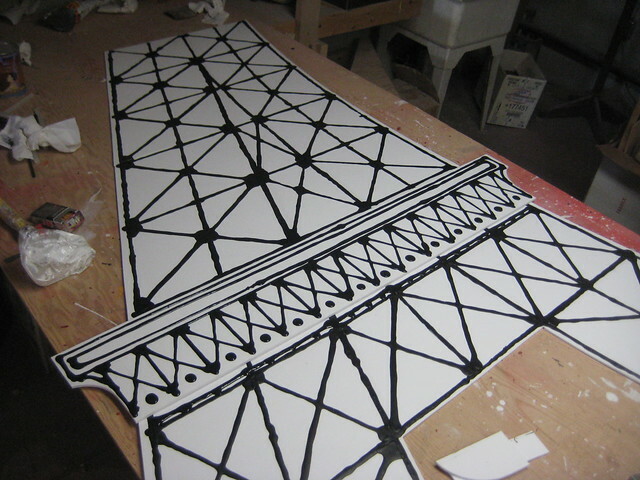 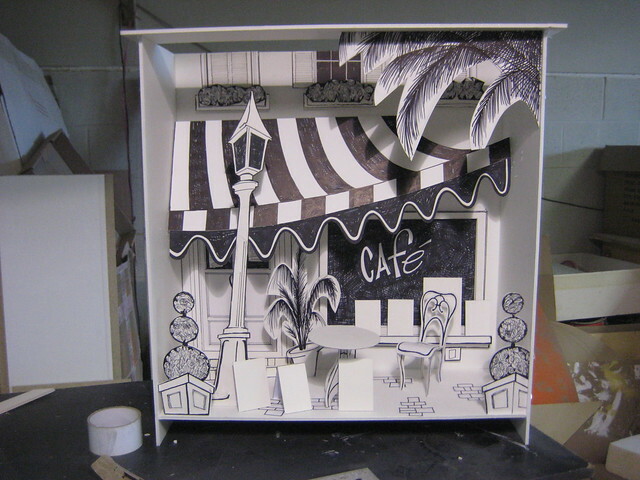 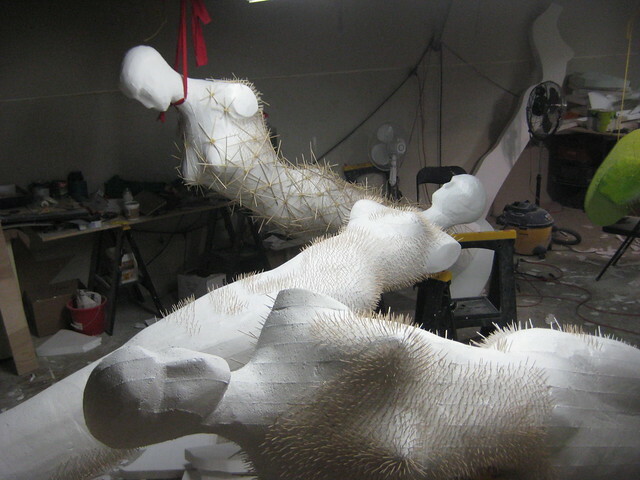 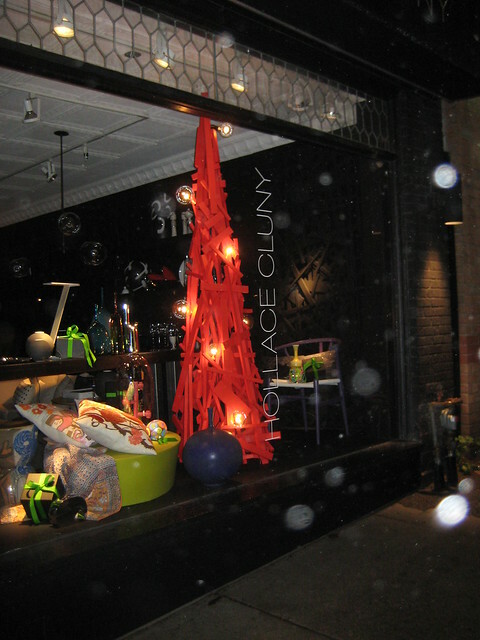 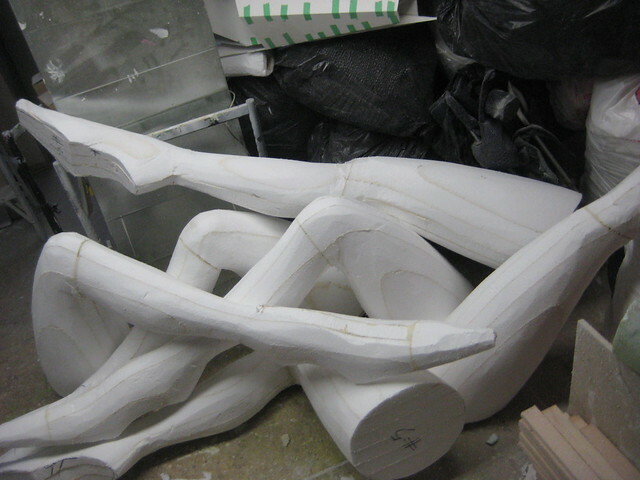 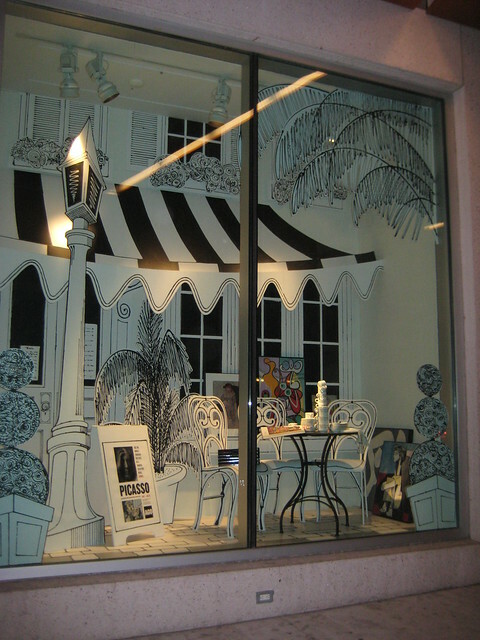 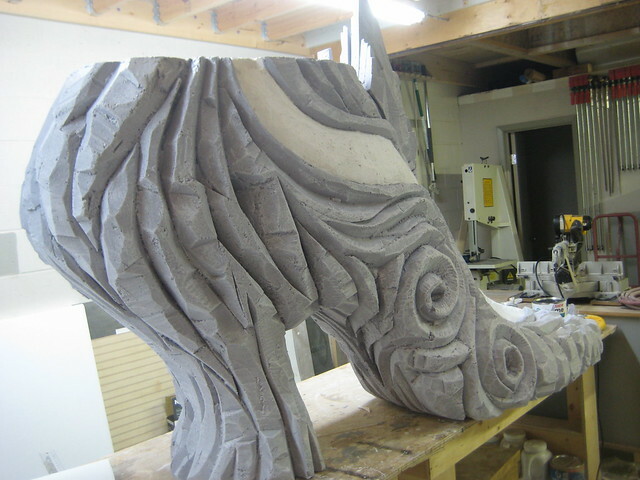 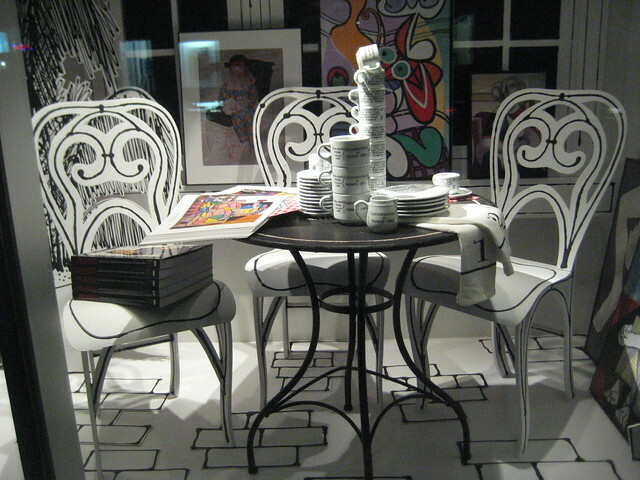 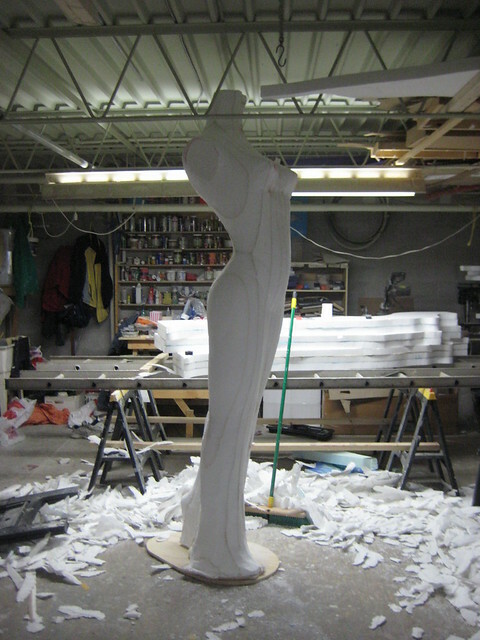 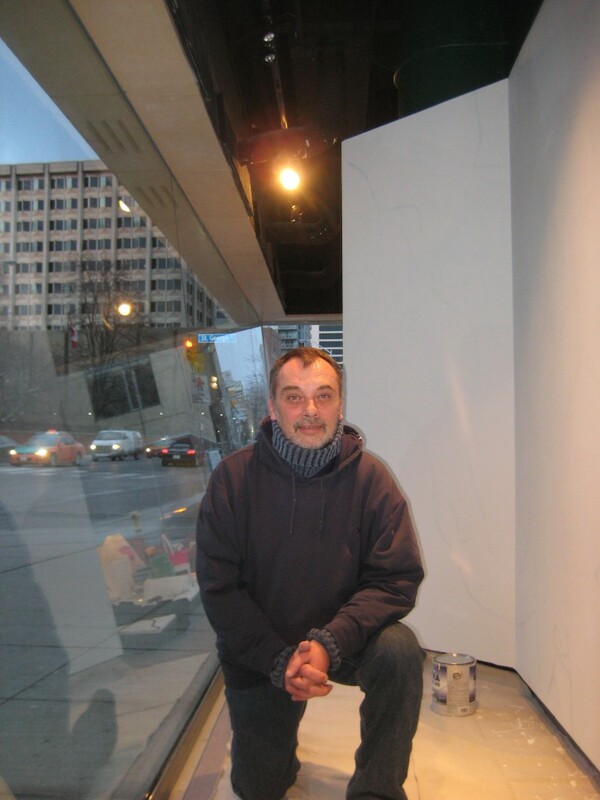 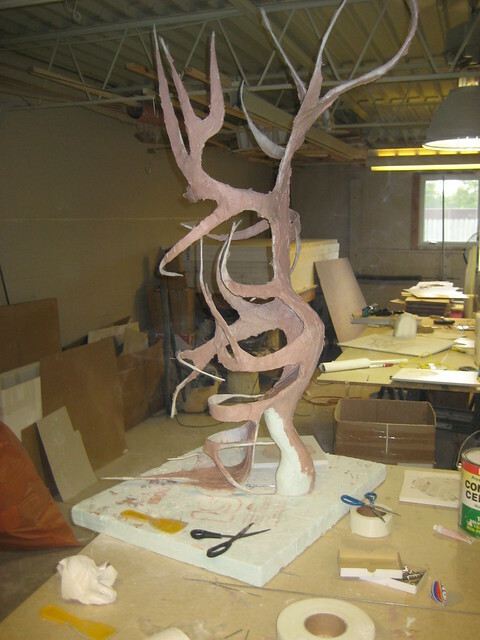 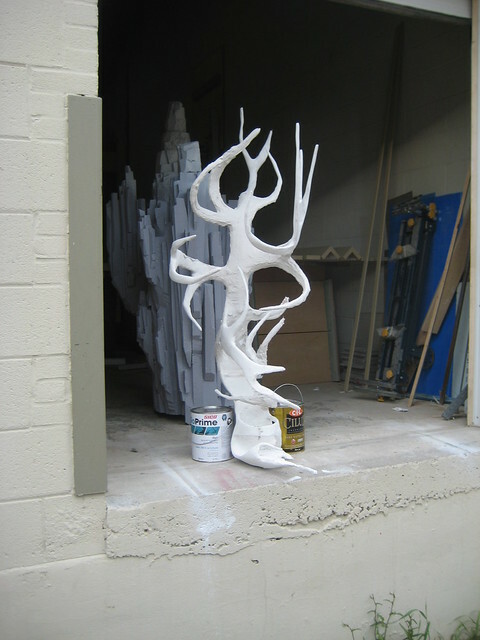 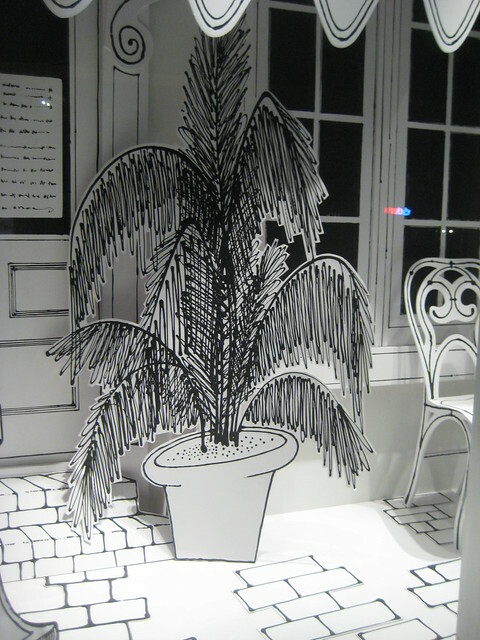 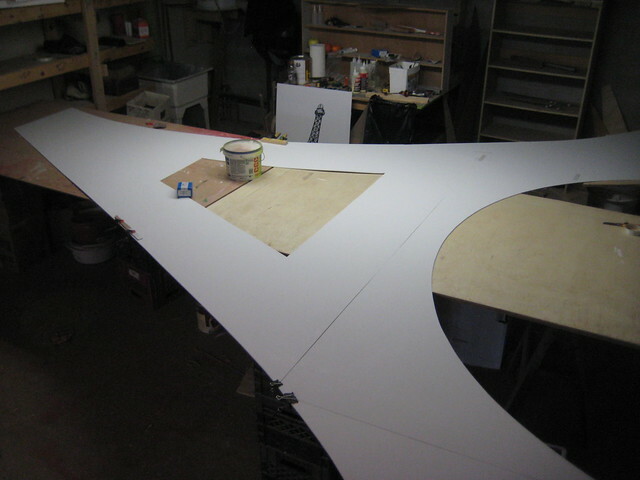 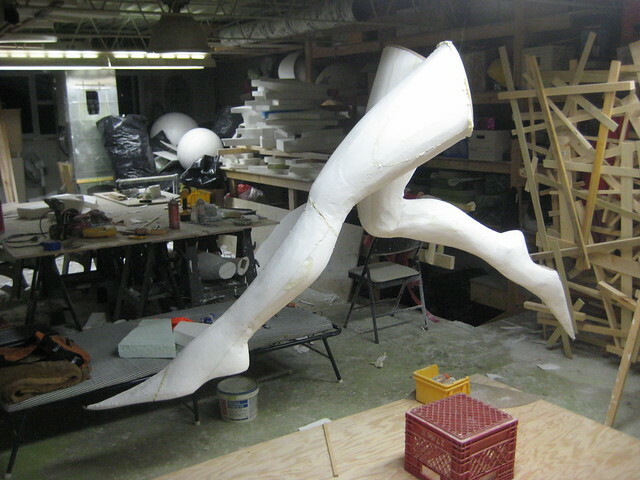 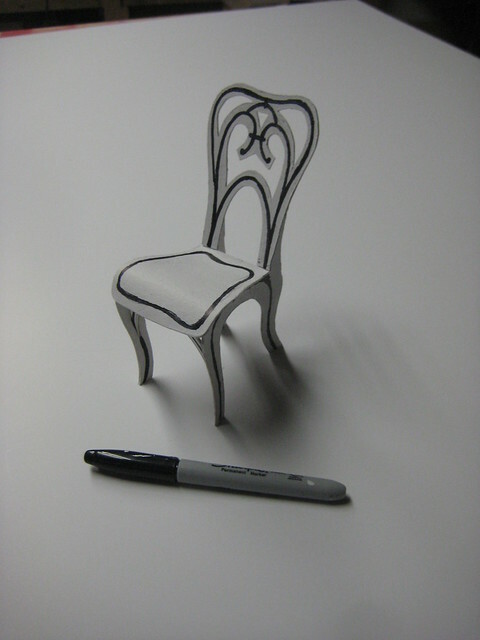 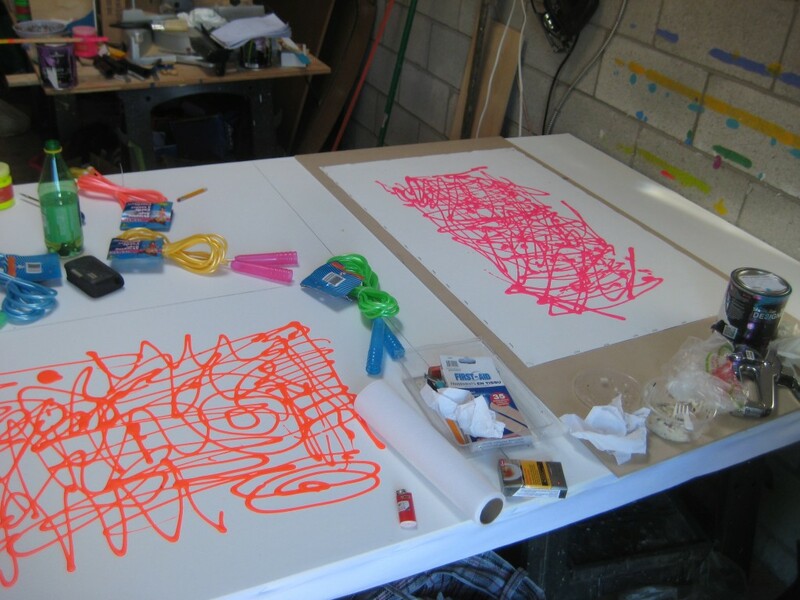 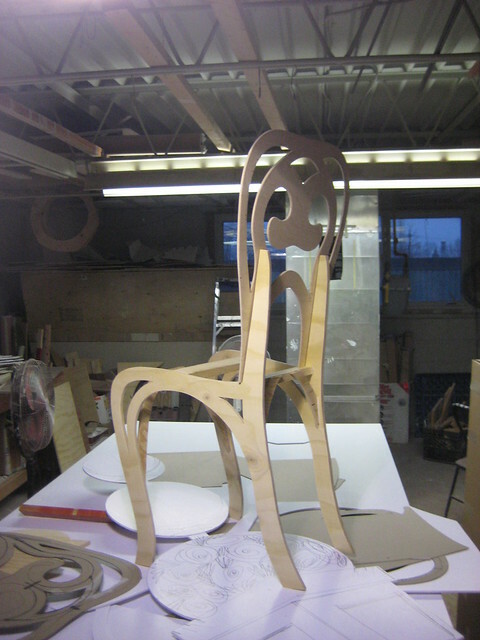 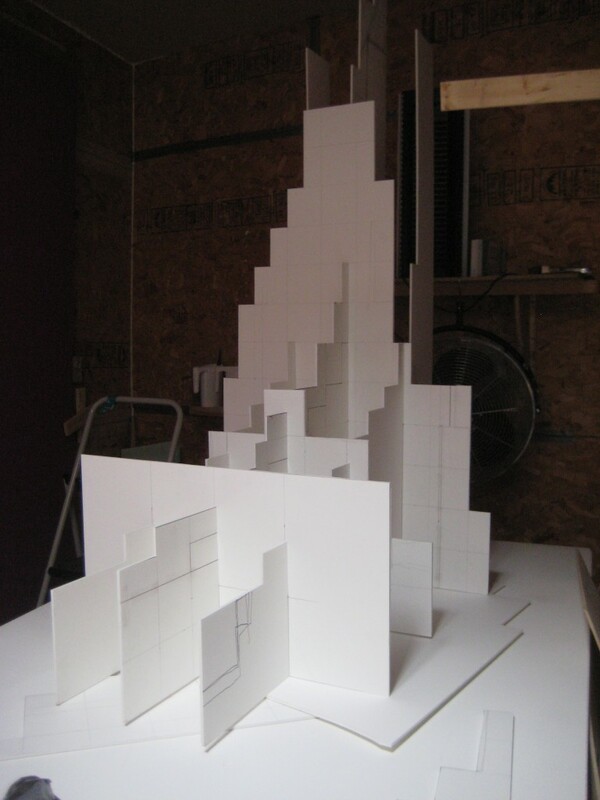 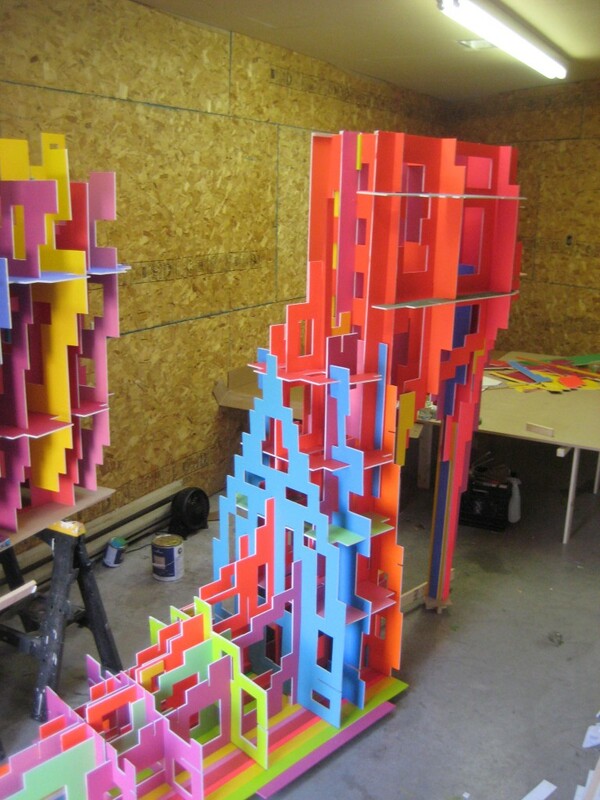 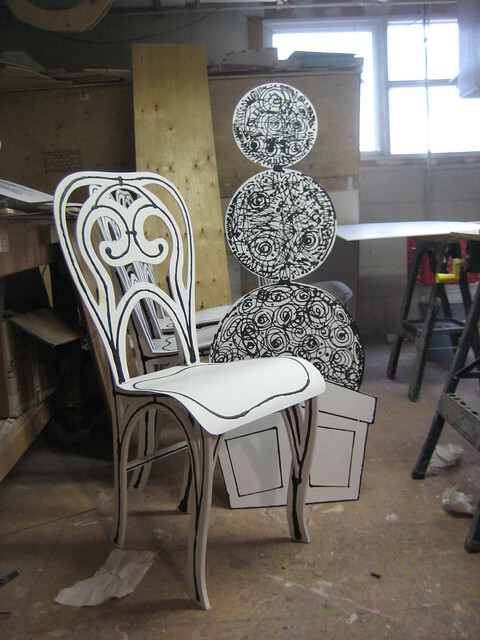 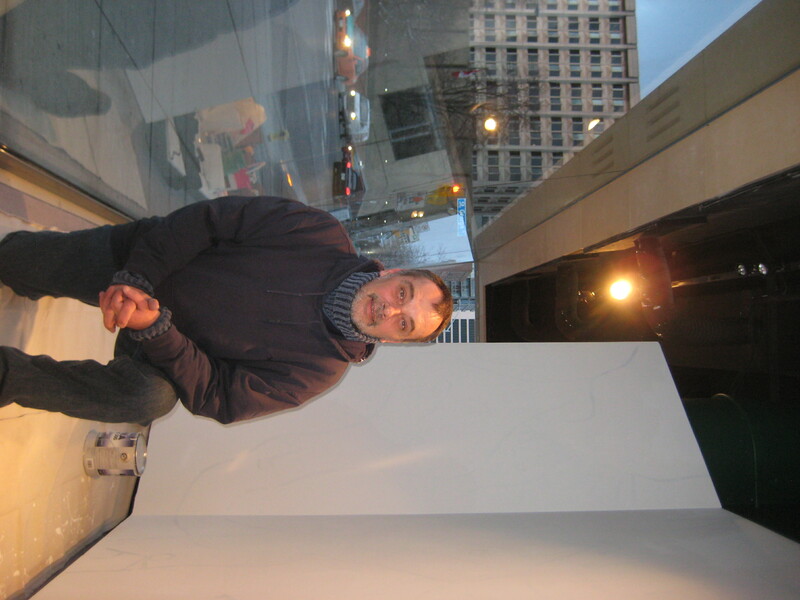 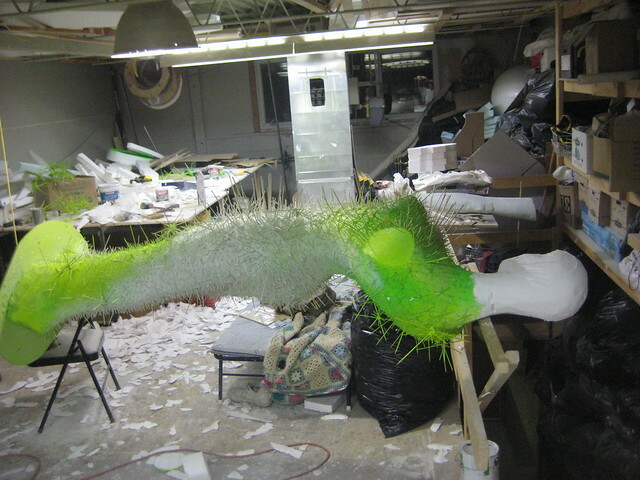 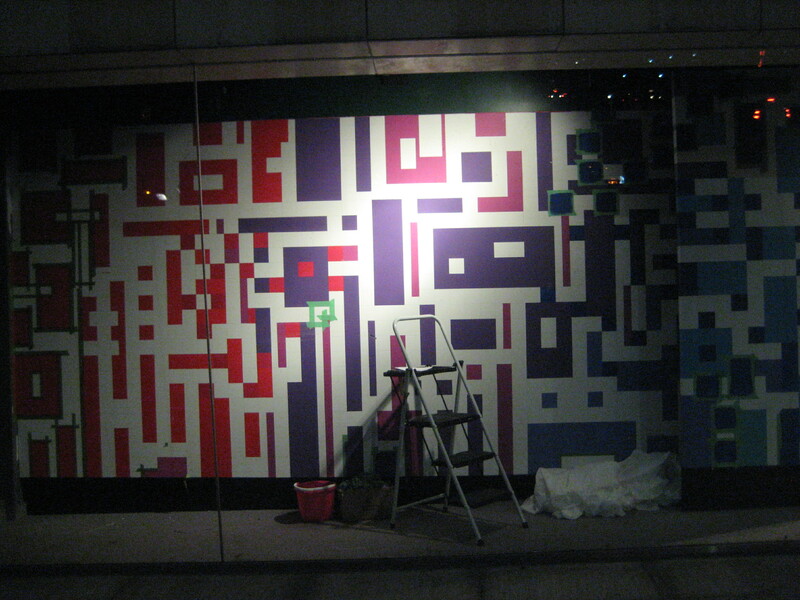 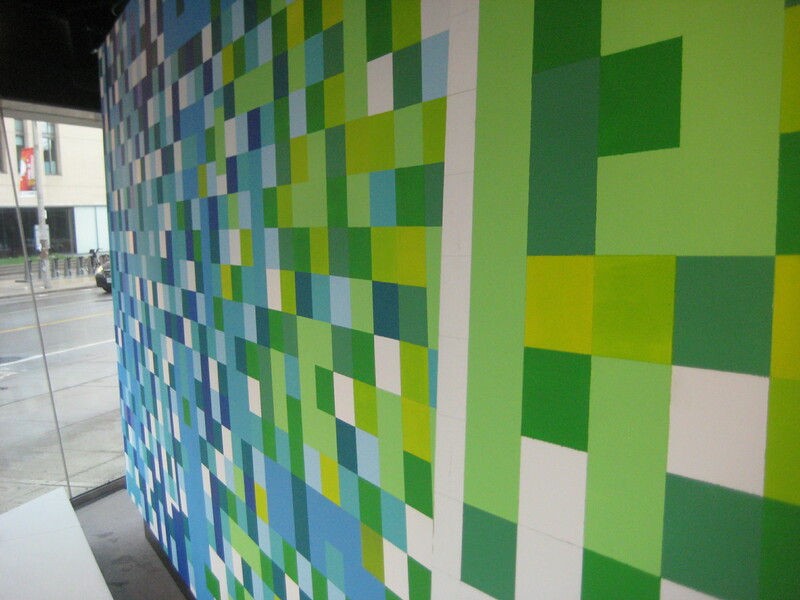 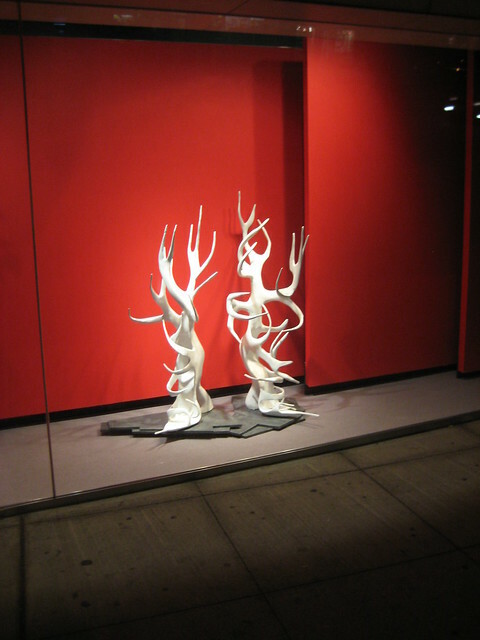 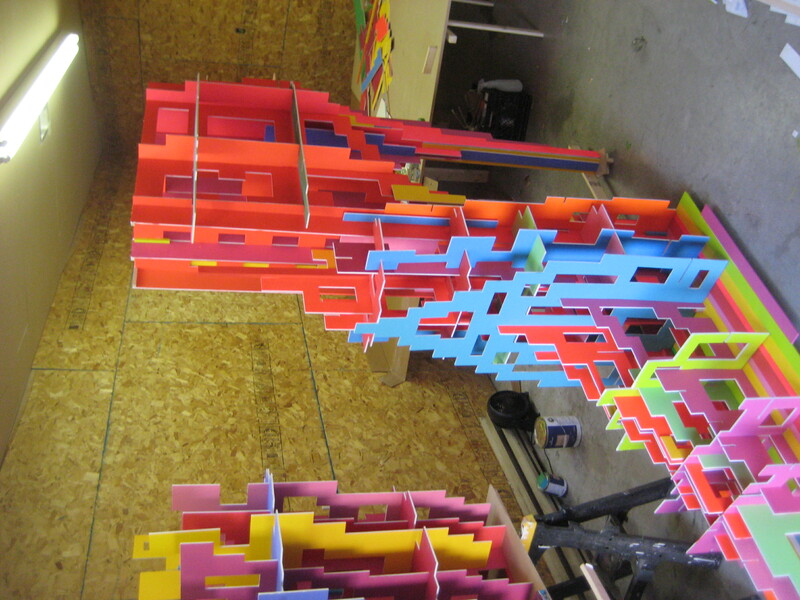 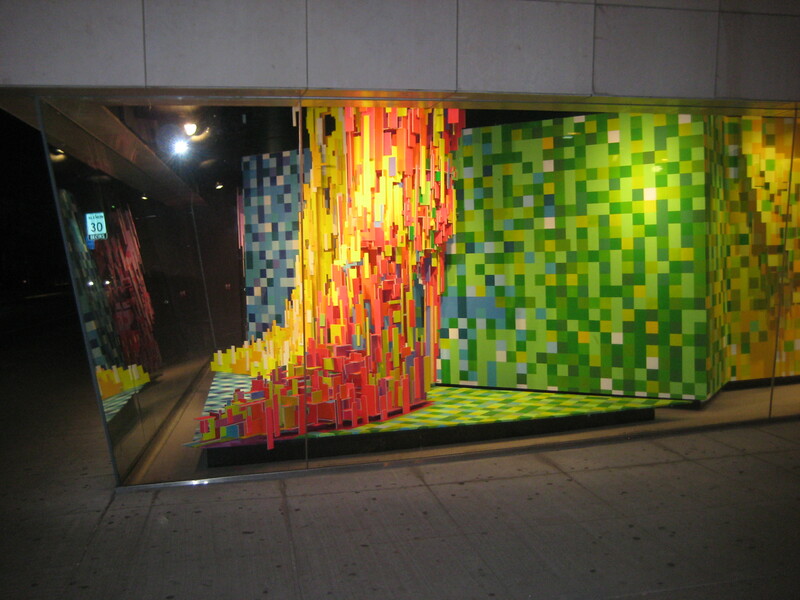 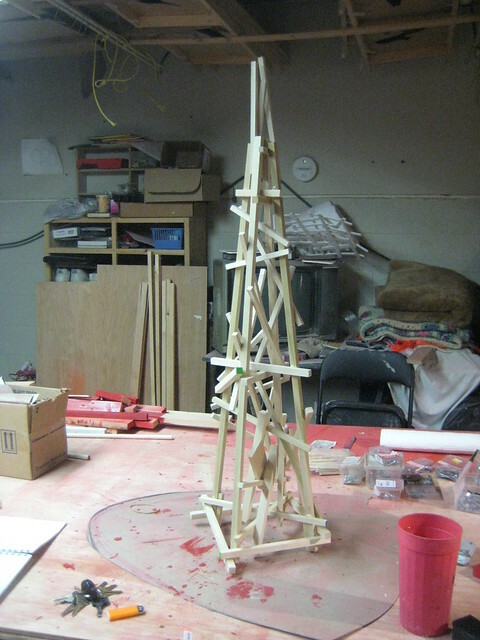 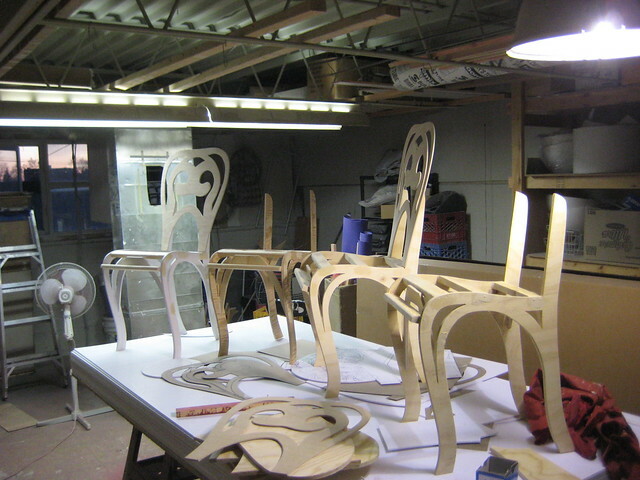 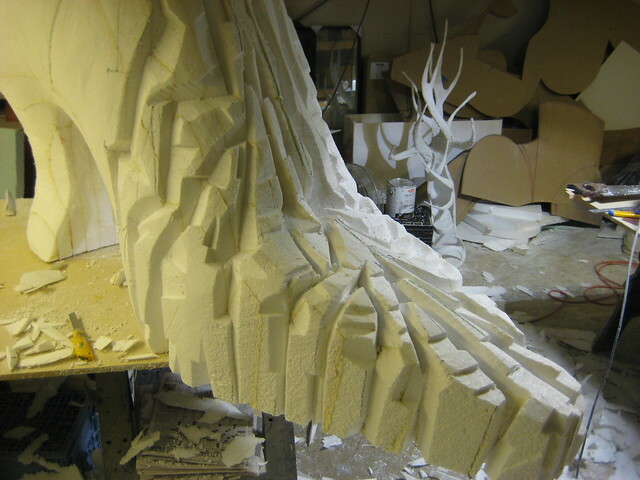 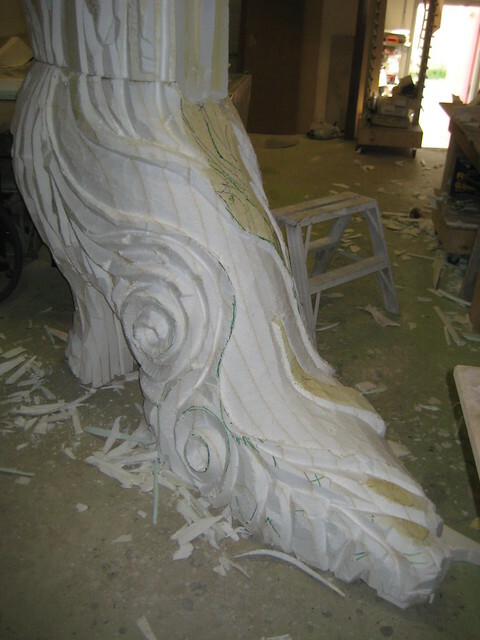 The installation spanned the interior of the gallery shop and the street window. 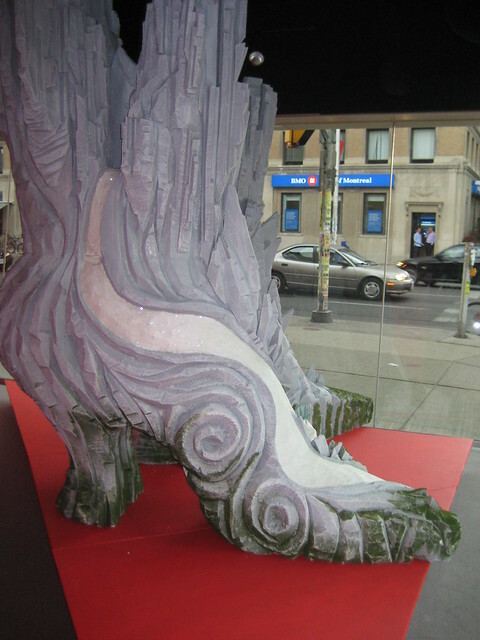 The Silver Boots were a futuristic interpretation of footwear installed in the window at the Bata Show Museum on Bloor street in Toronto. 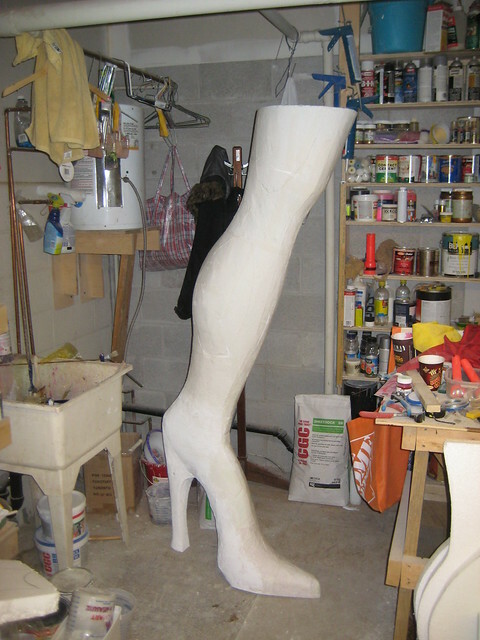 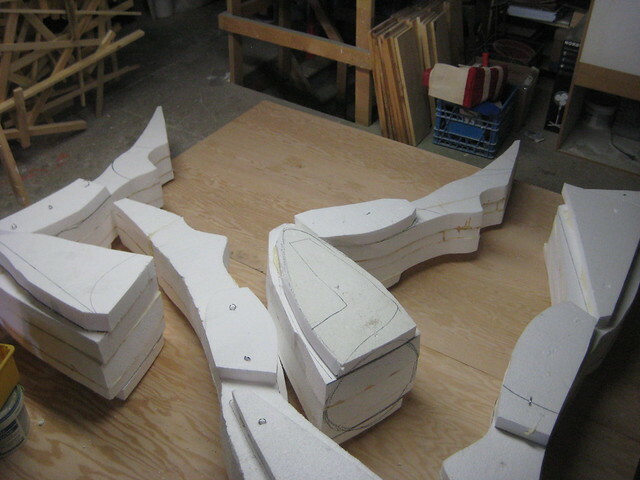 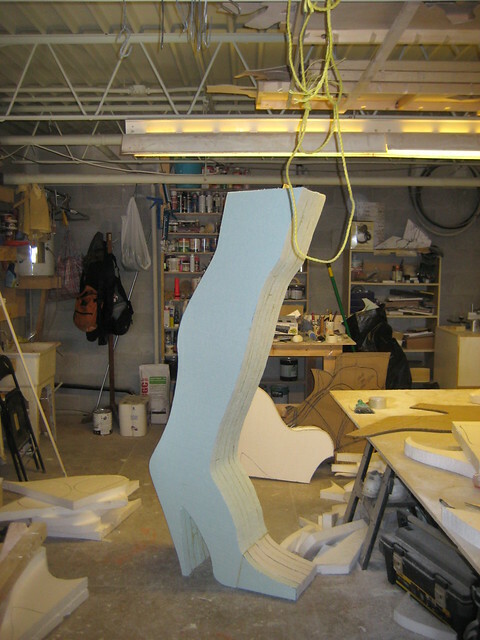 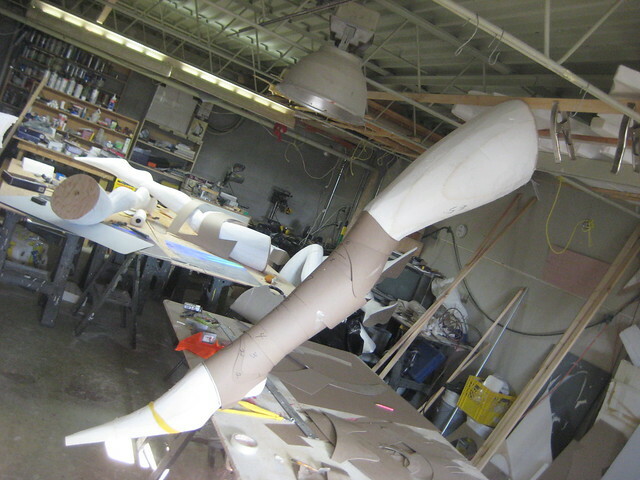 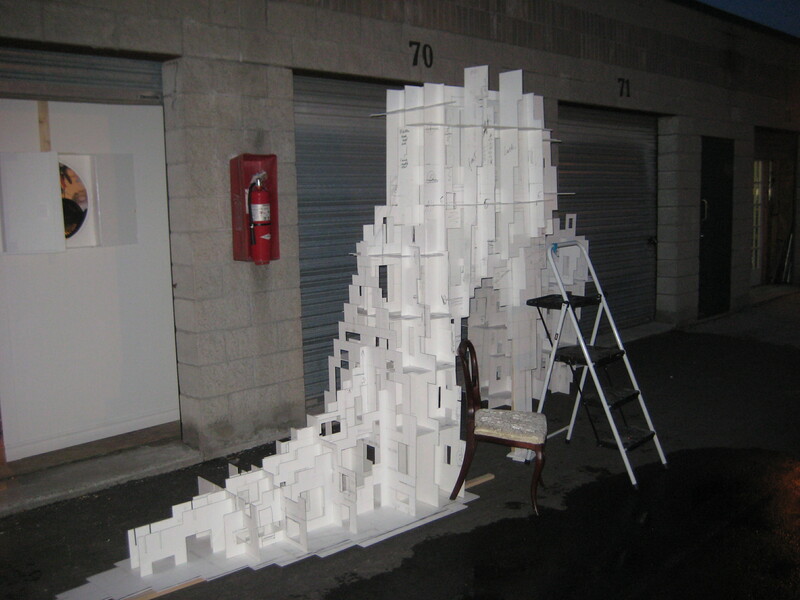 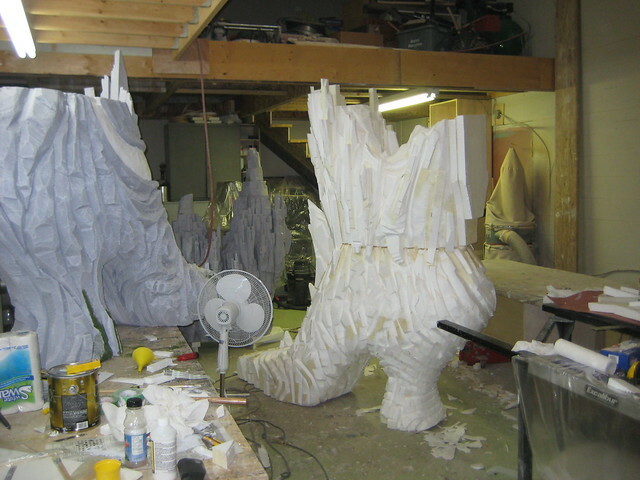 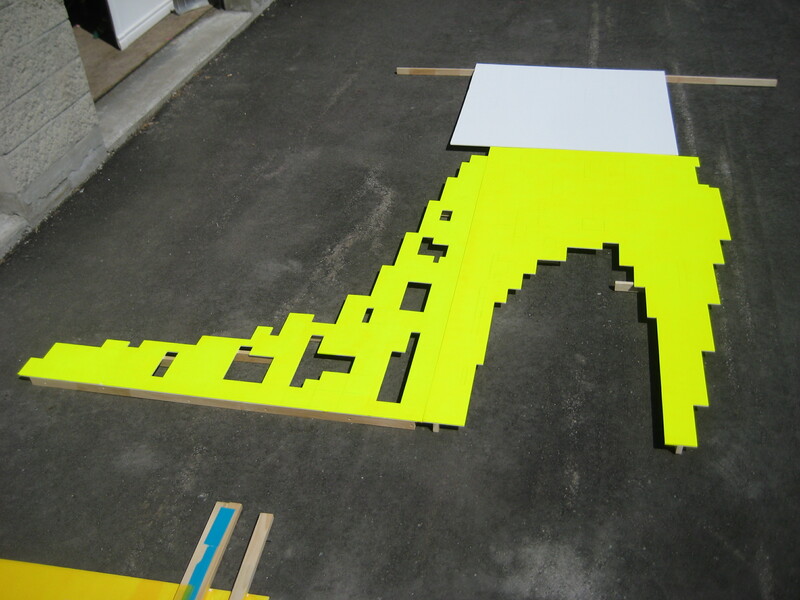 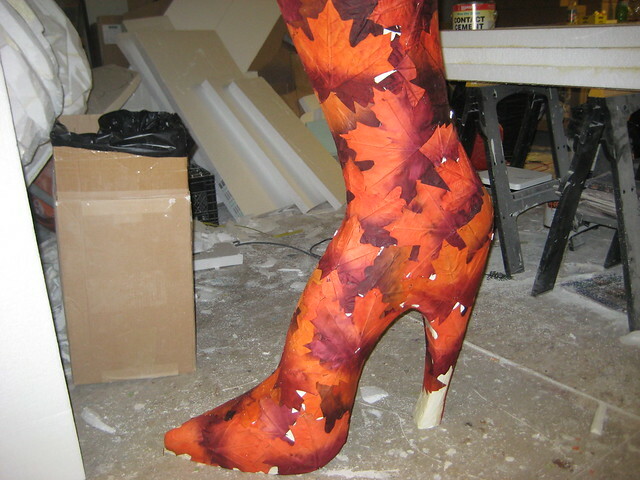 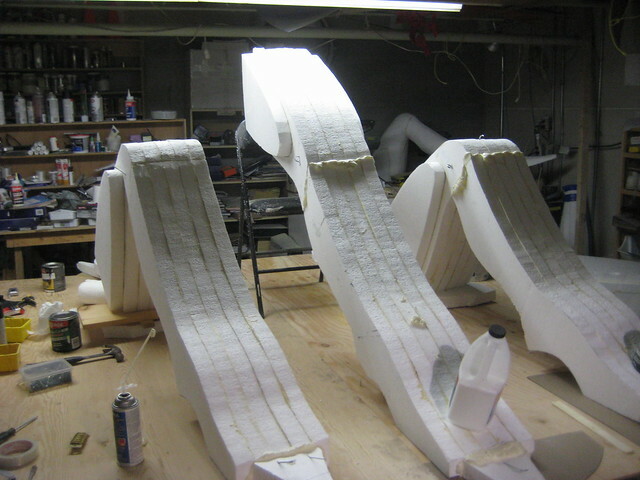 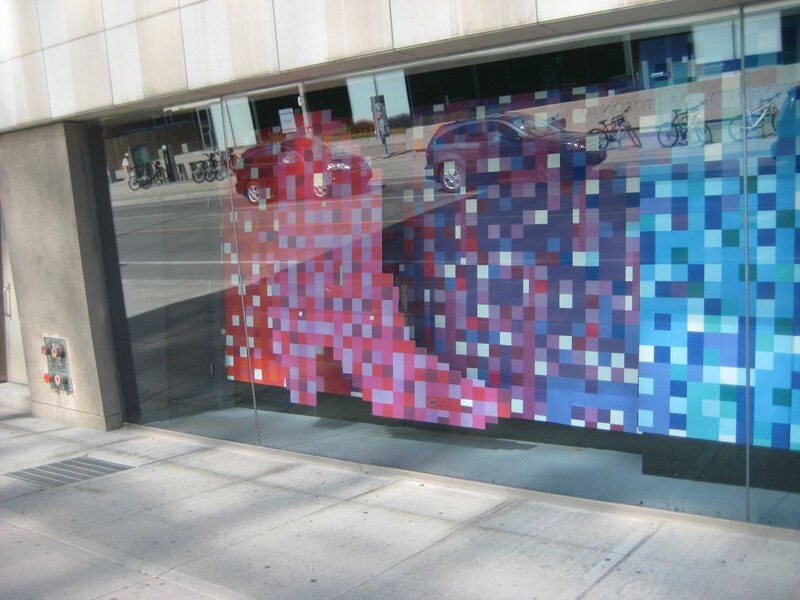 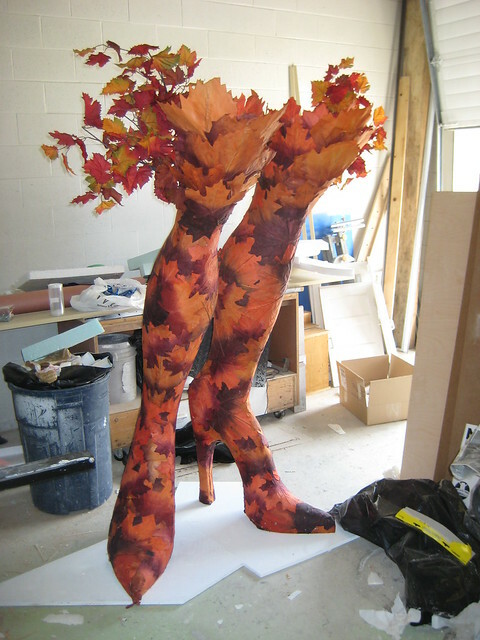 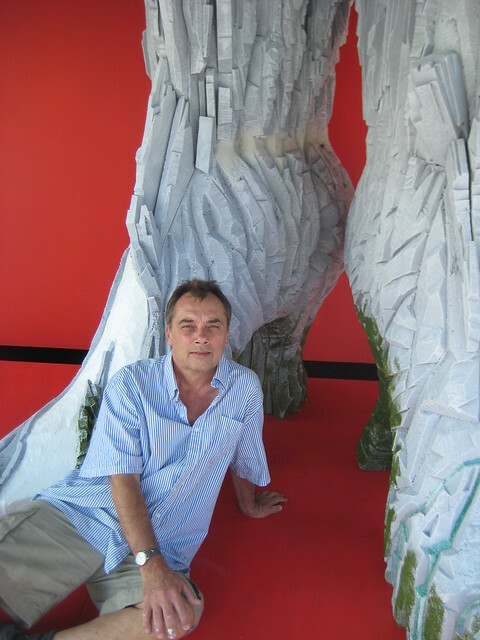 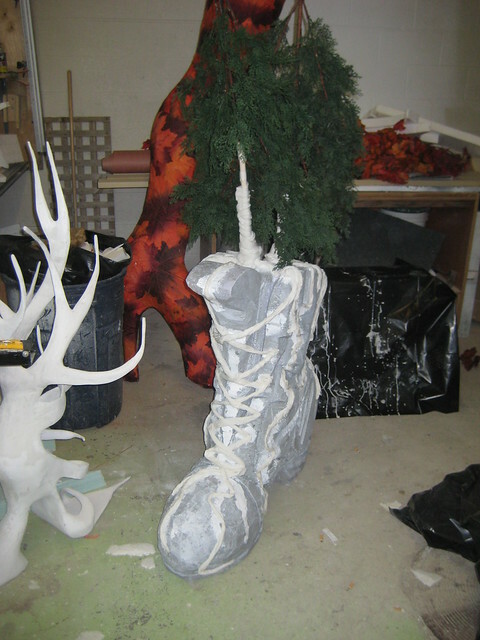 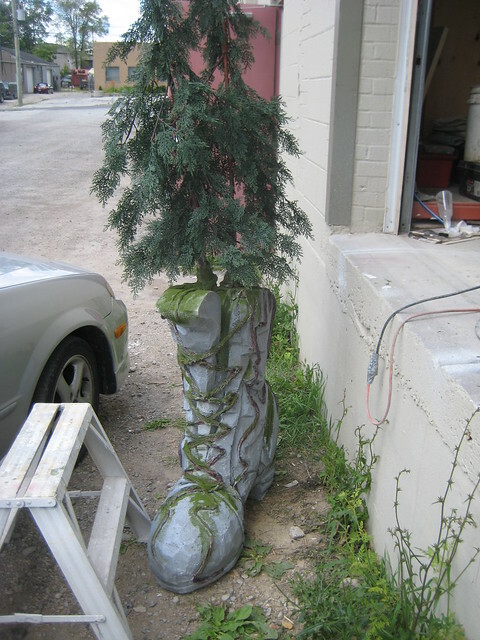 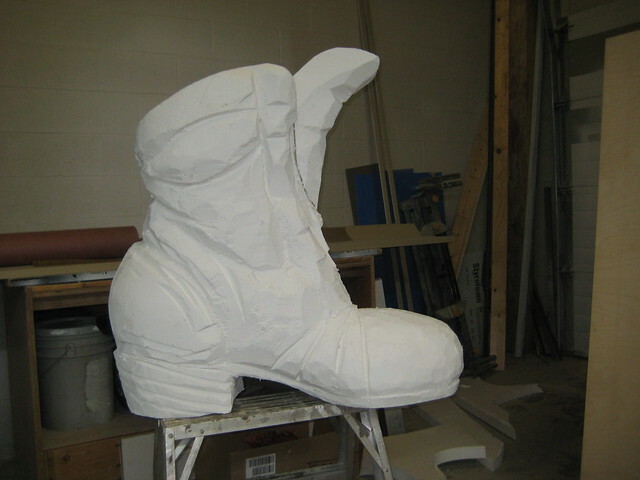 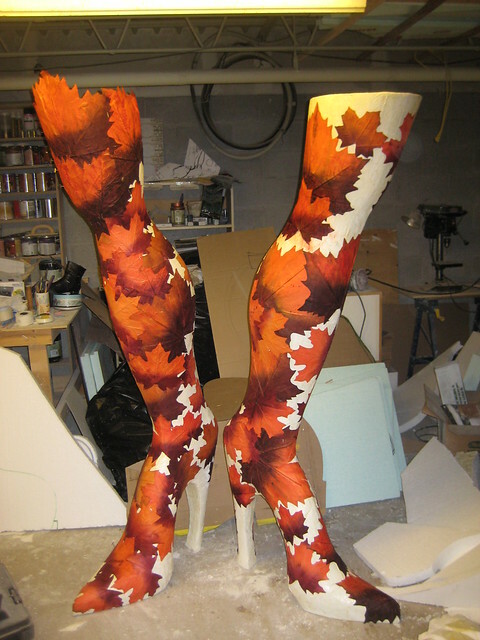 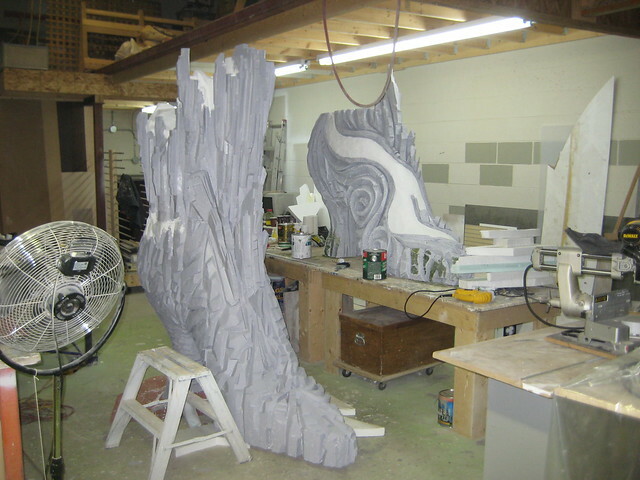 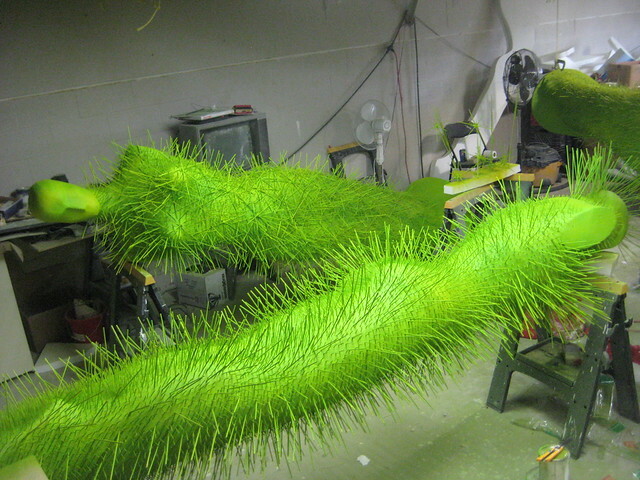 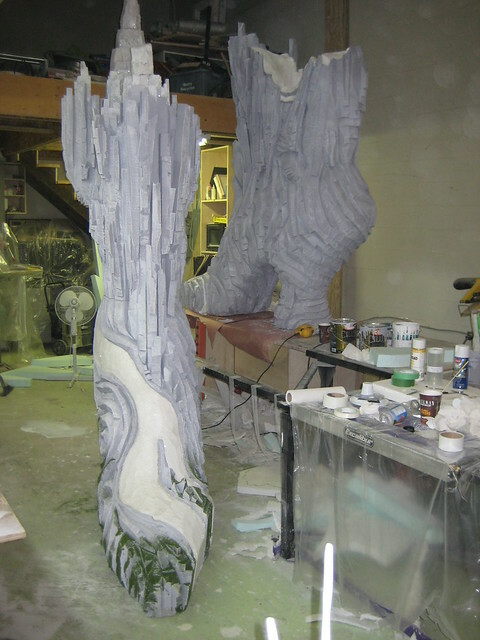 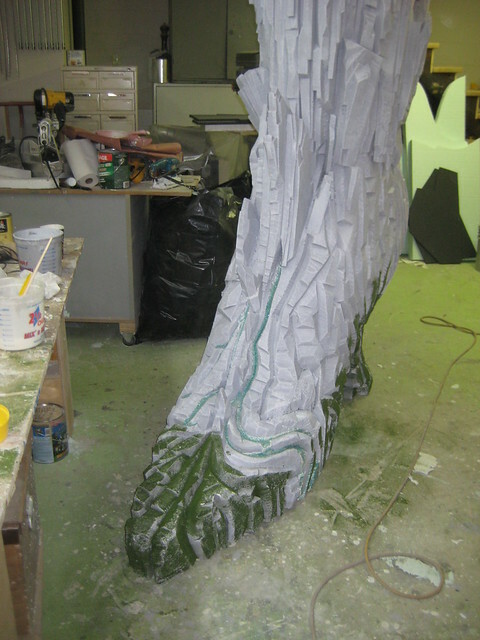 The boots were designed and fabricated using a holographic film purchased from Active Surplus in downtown Toronto and were on display from September 2011 to July 2013. 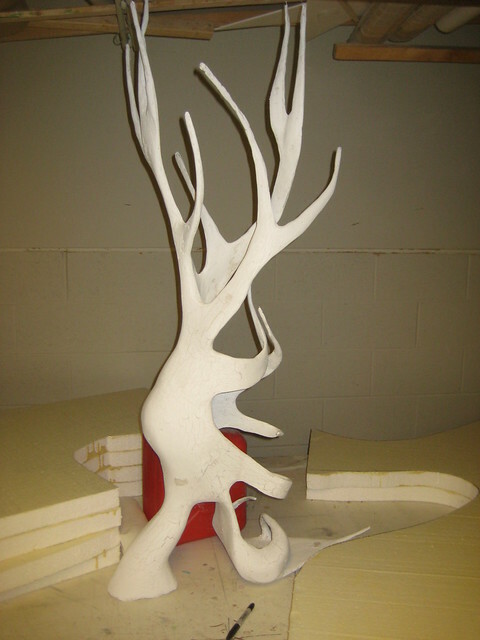 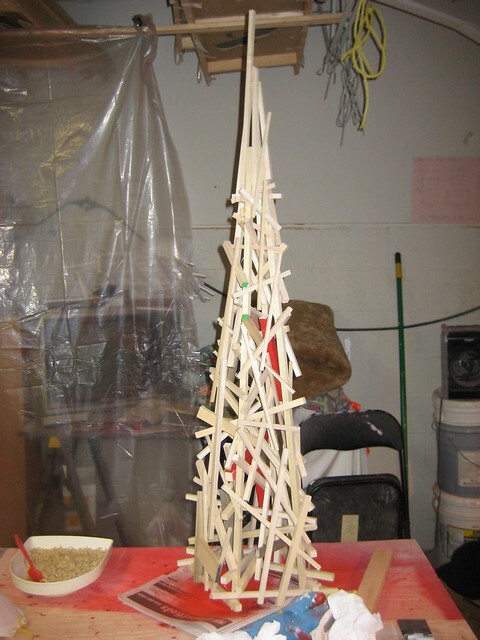 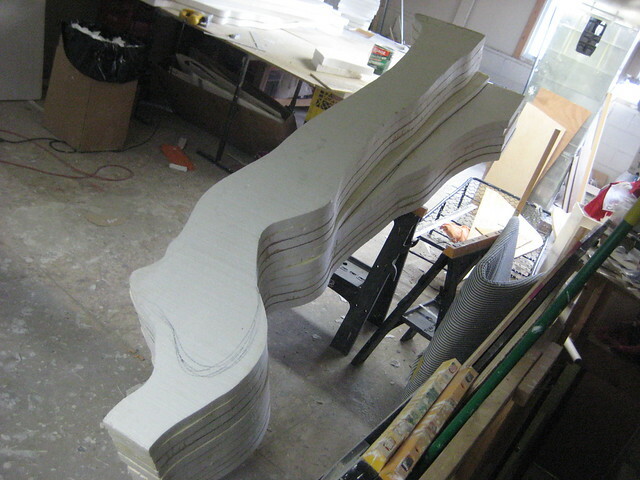 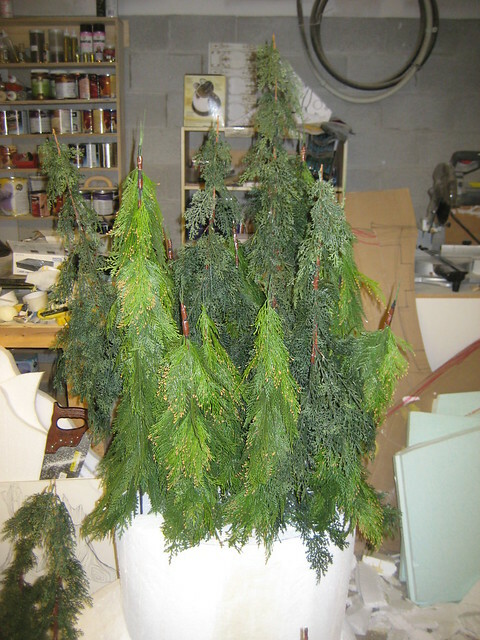 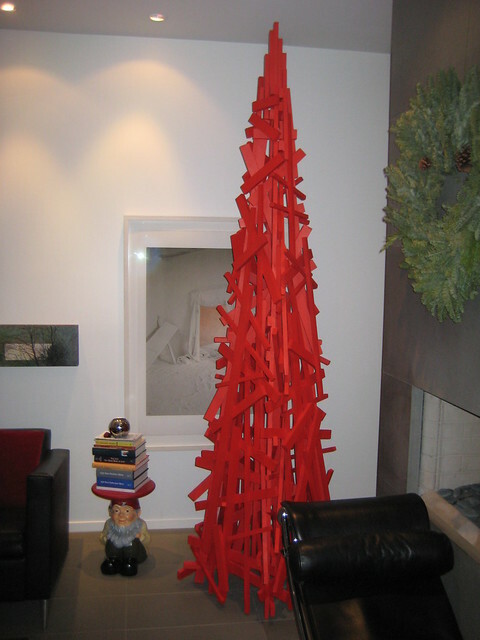 Wooden Christmas Tress for Hollace Cluny. 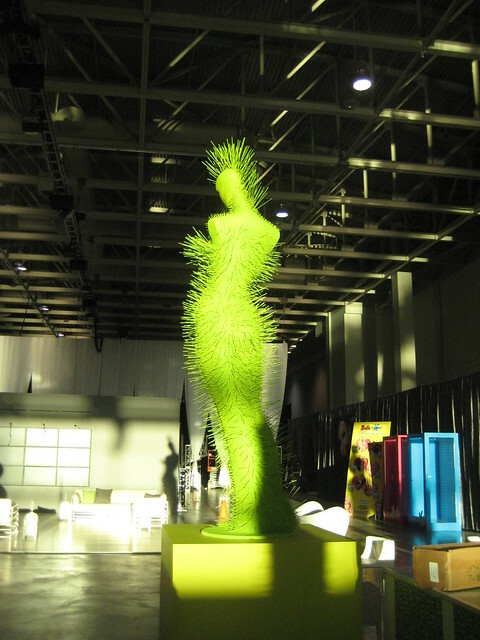 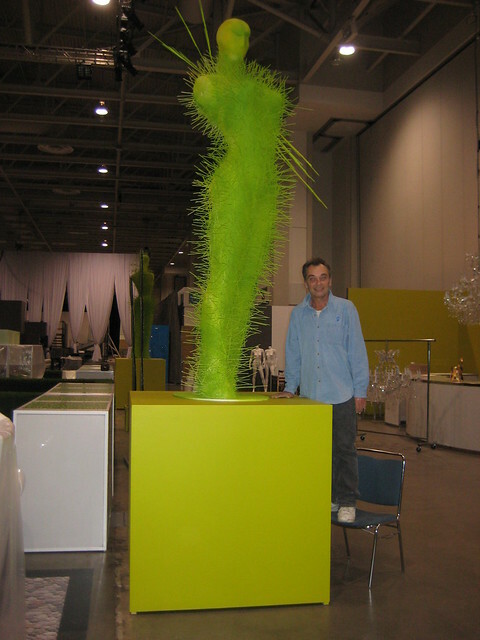 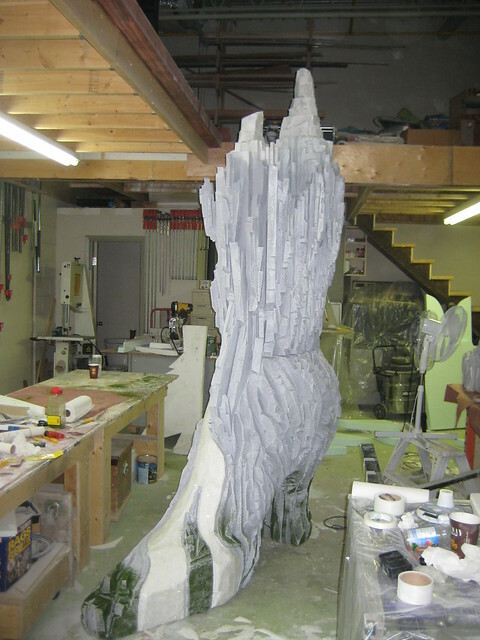 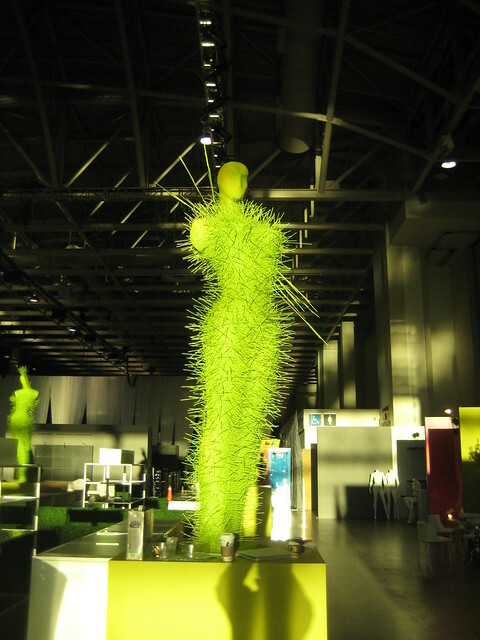 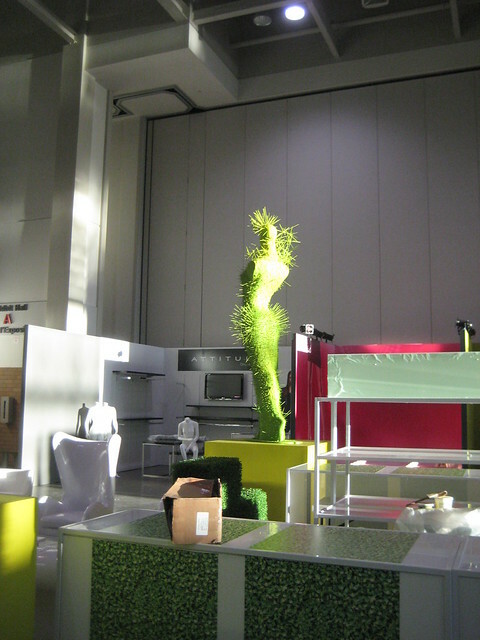 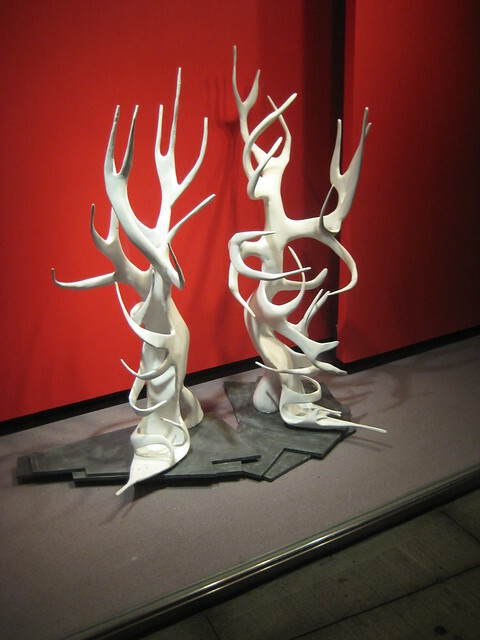 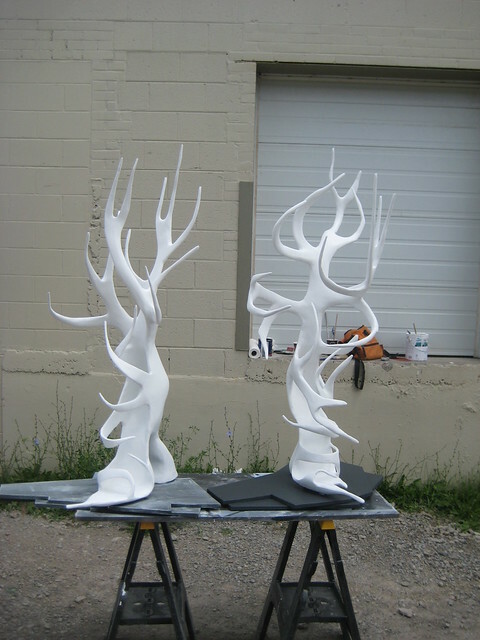 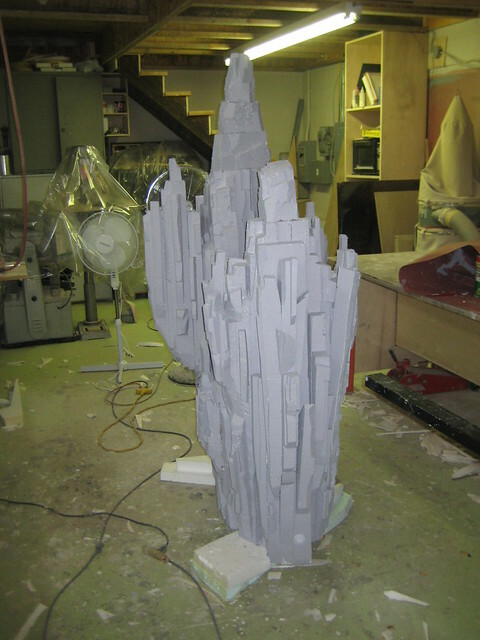 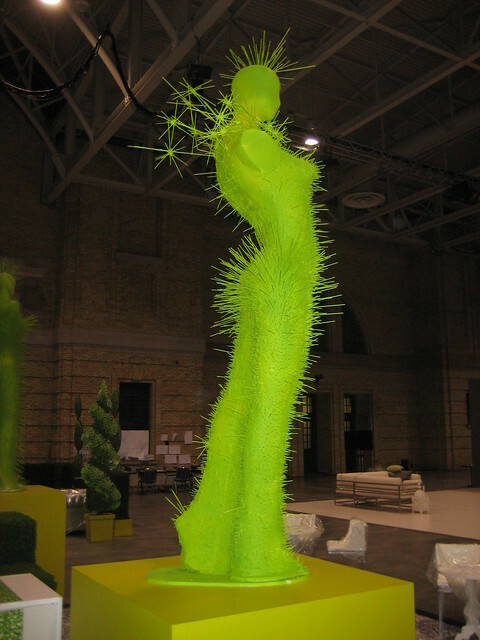 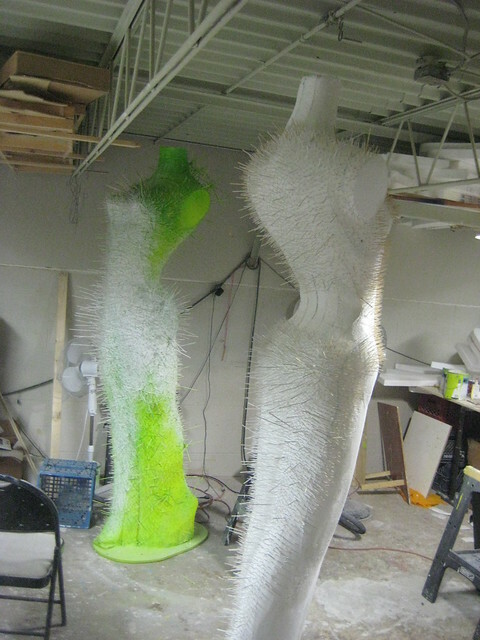 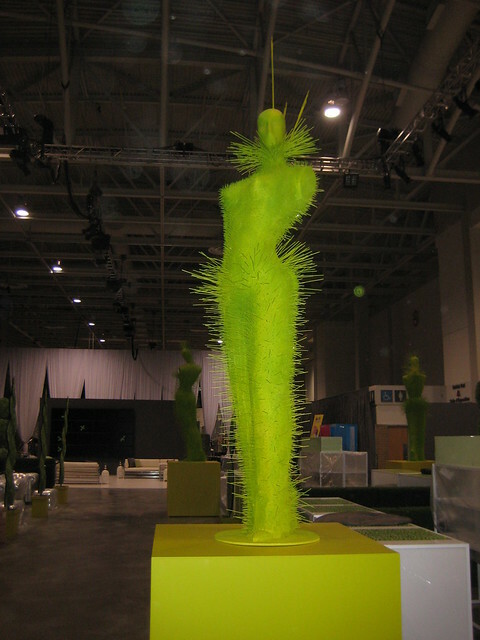 These sculptures were part of the LG Fashion Week S/S 2011 garden party event held at the Direct Energy Center in Toronto. 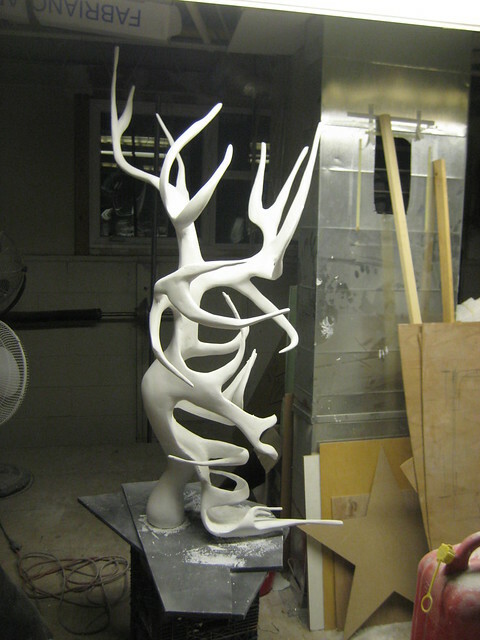 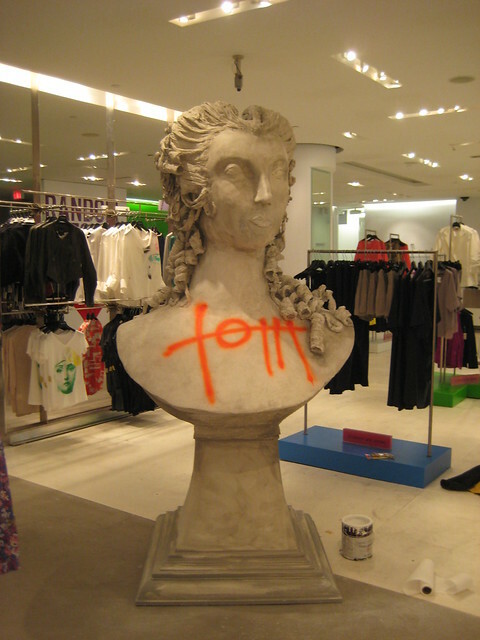 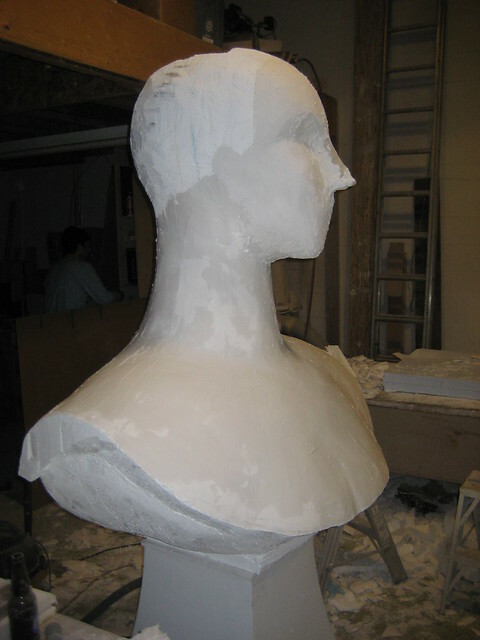 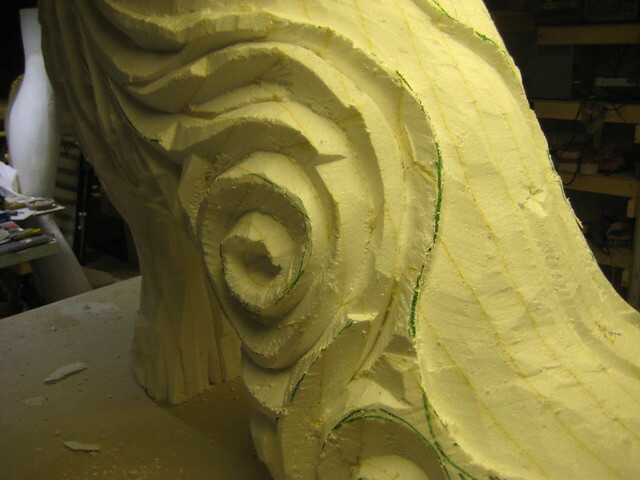 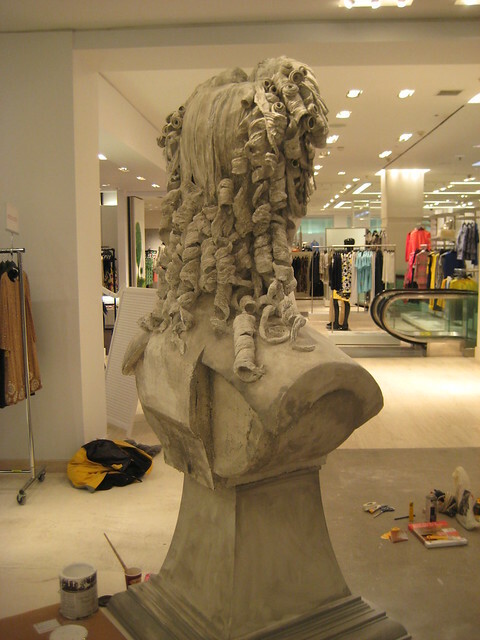 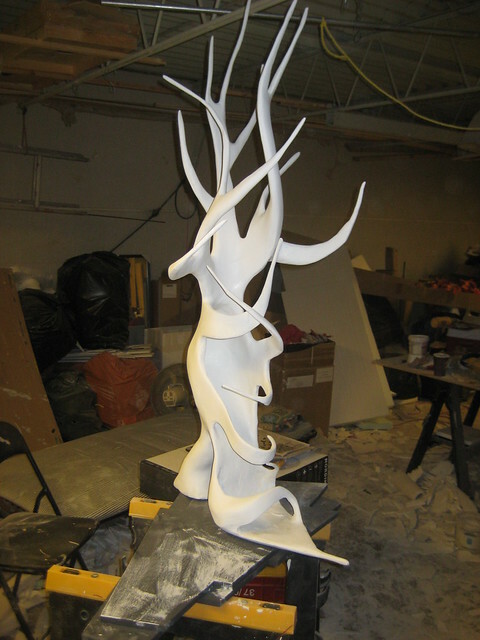 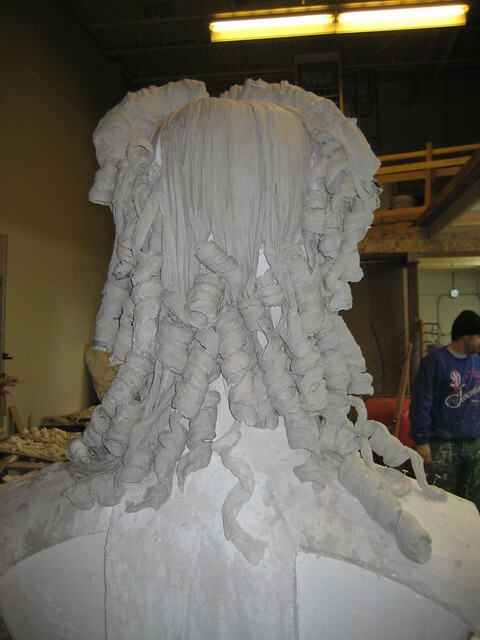 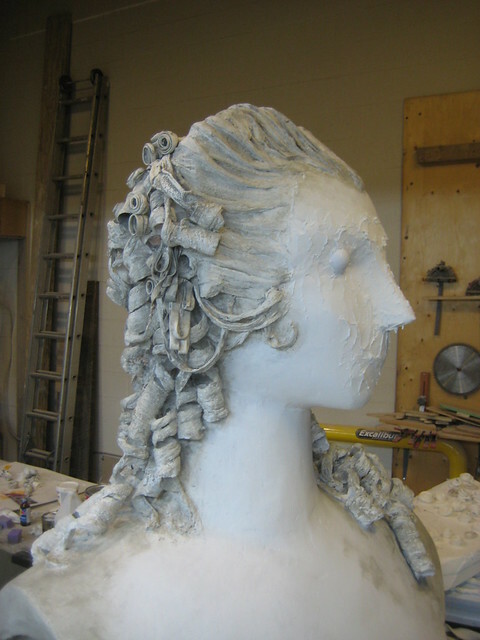 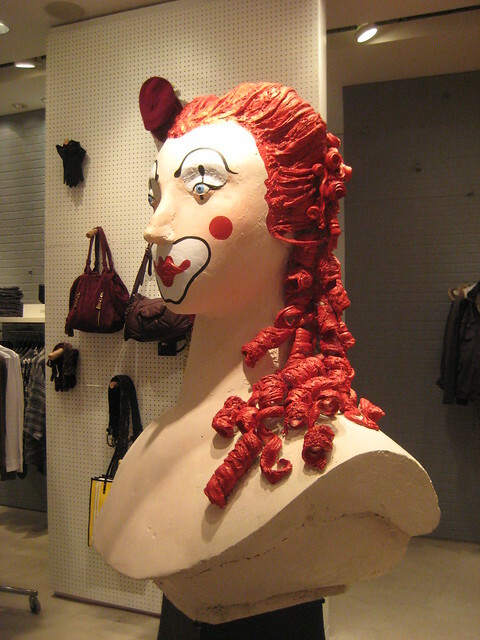 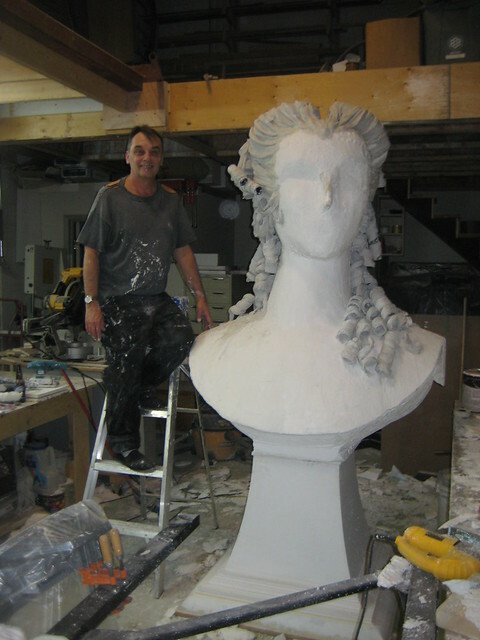 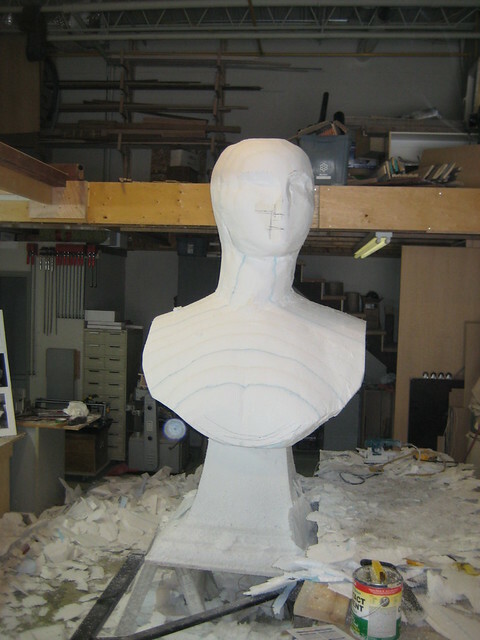 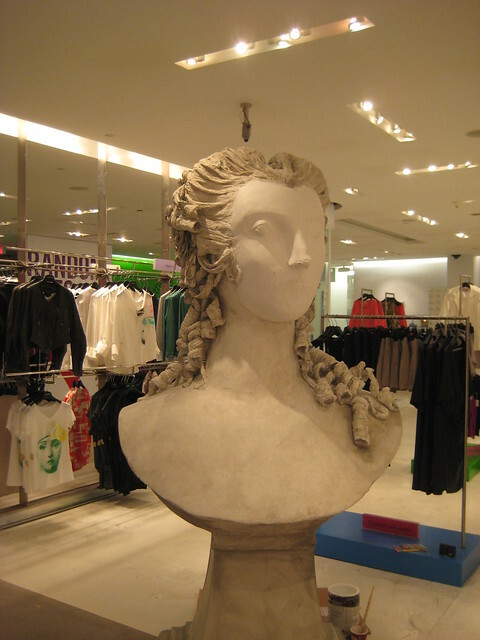 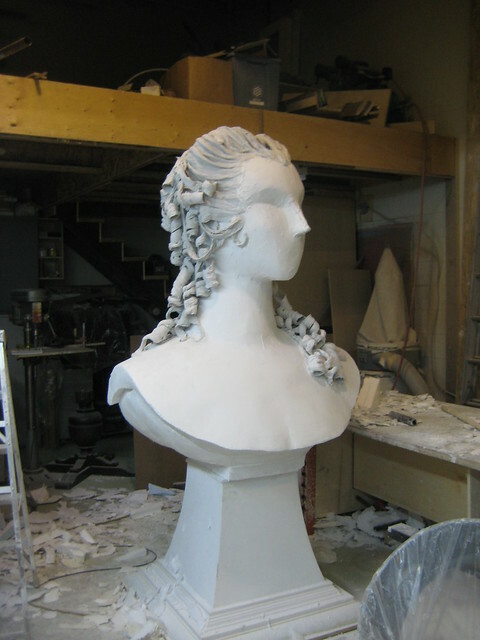 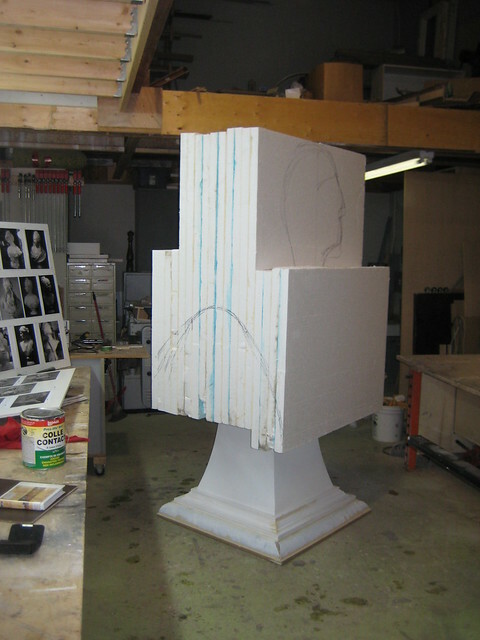 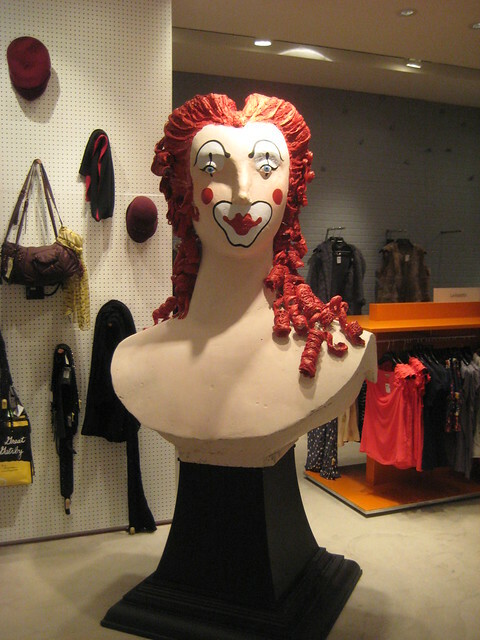 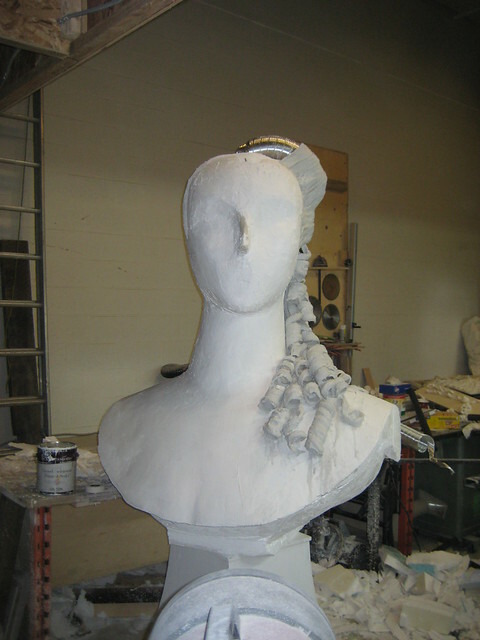 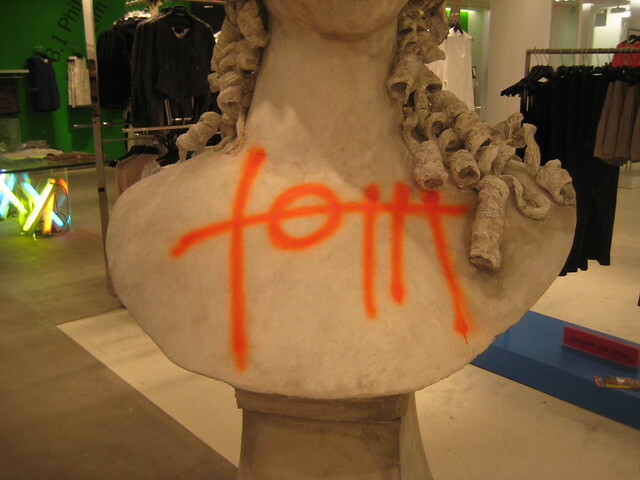 In-store Baroque Bust display for the Holt Renfrew flagship store on Bloor Street in Toronto. 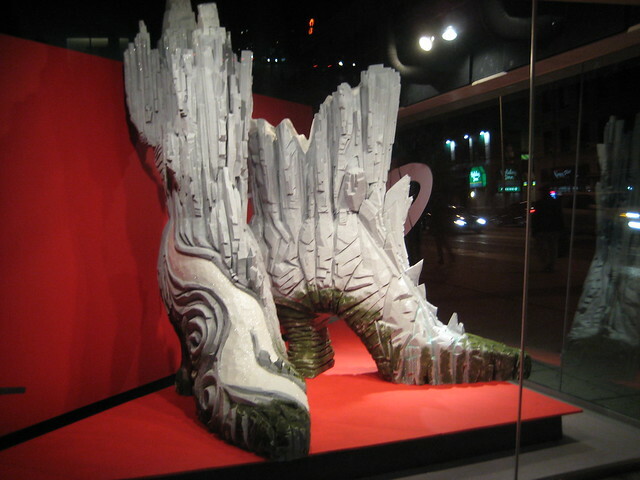 This Bata Shoe Museum window display on Bloor street in Toronto. 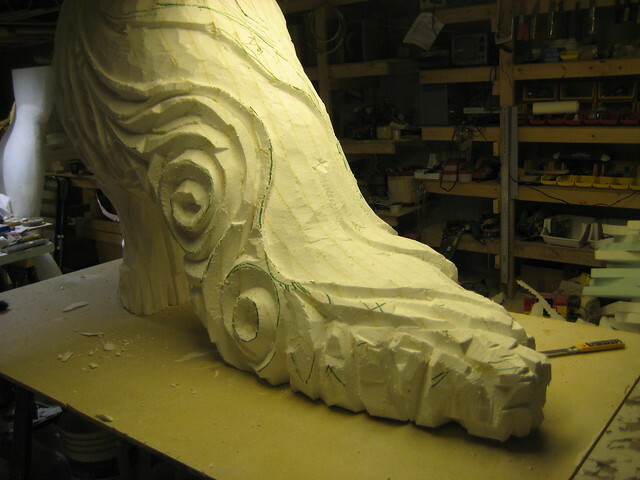 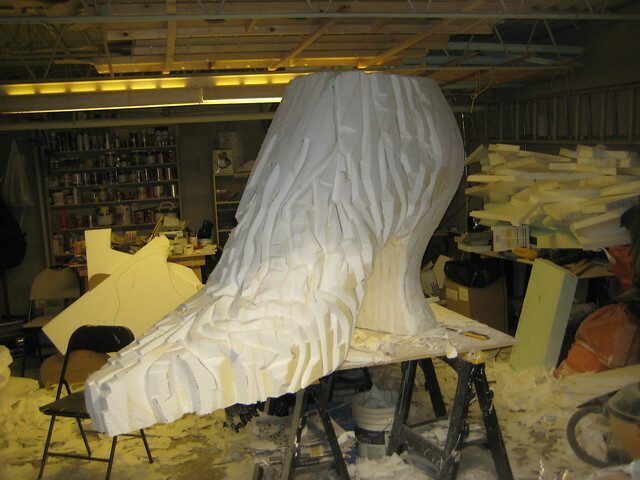 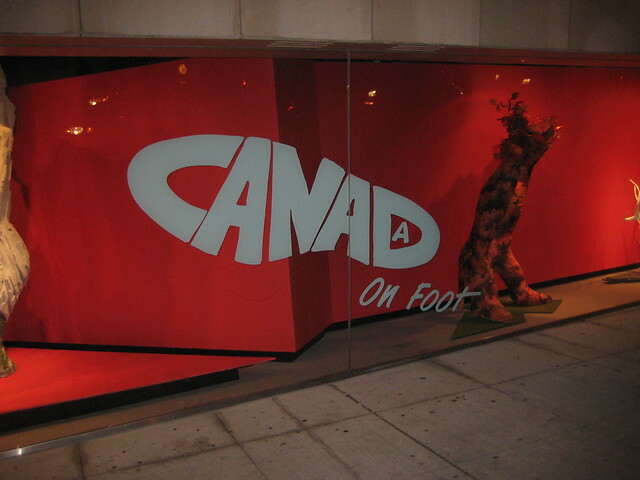 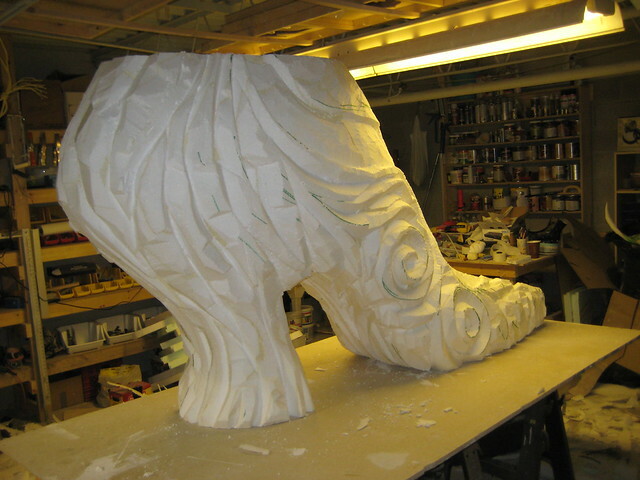 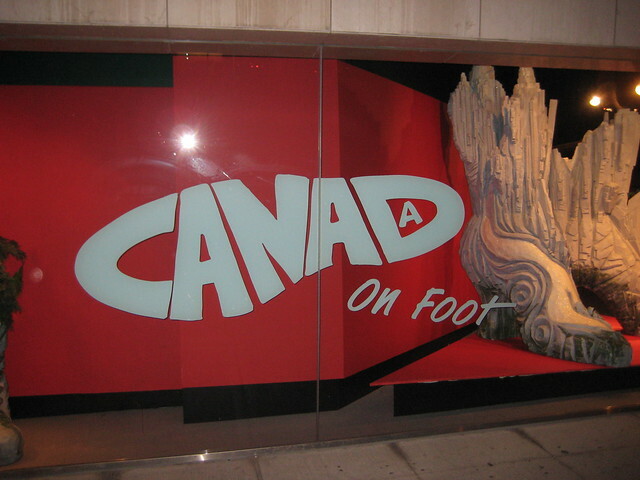 The window display featured a series of sculpted shoes and a Canada on Foot custom logo I designed and fabricated. 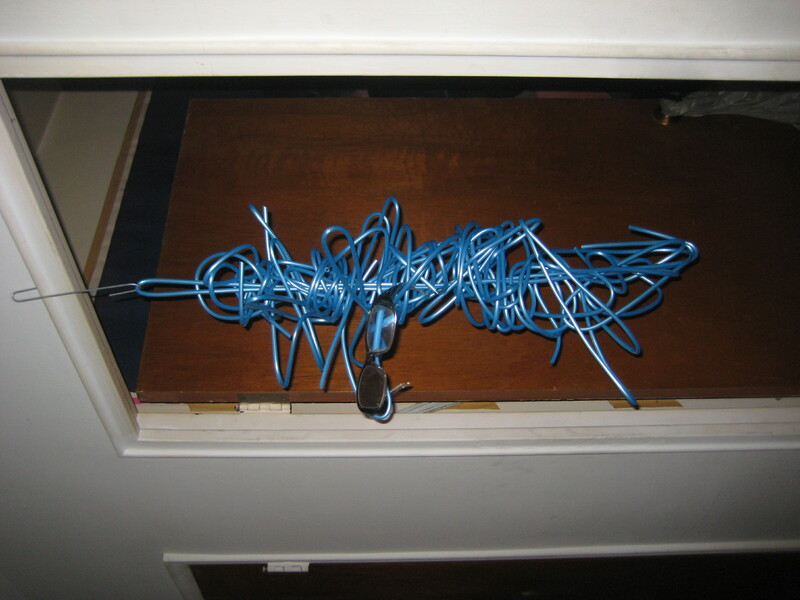 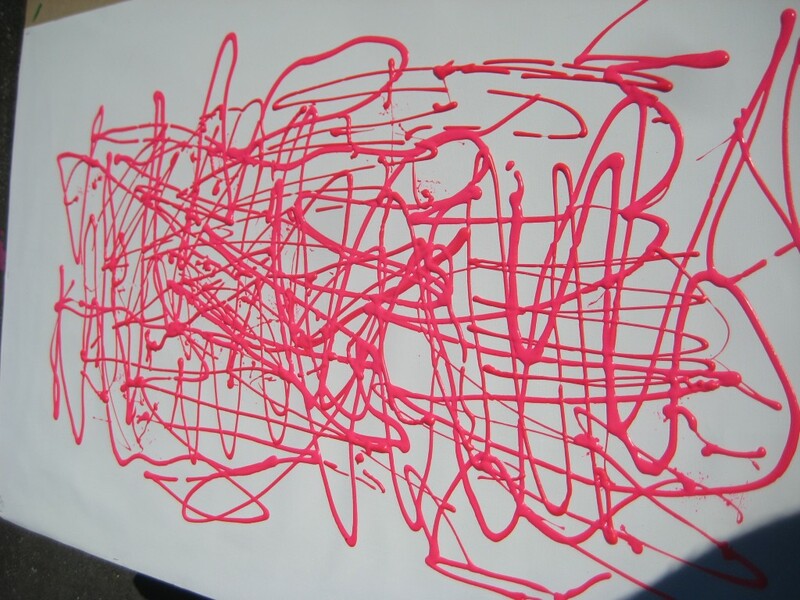 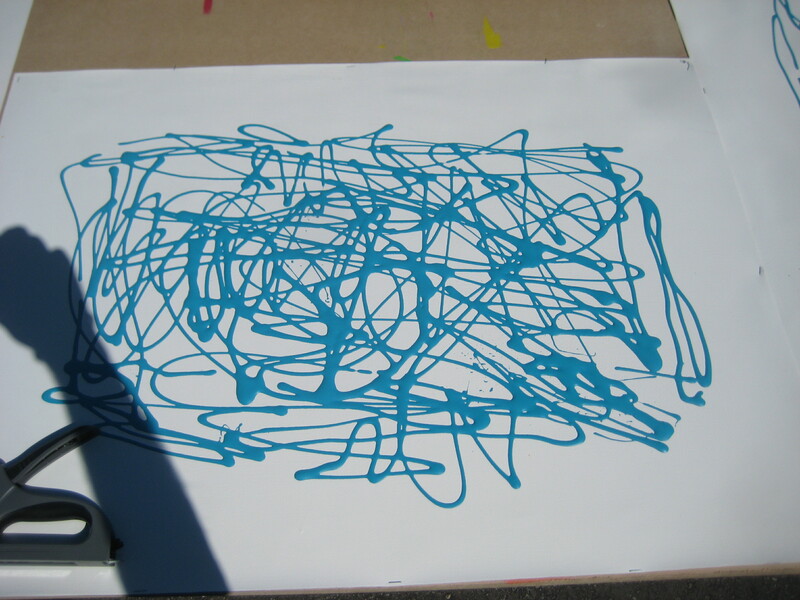 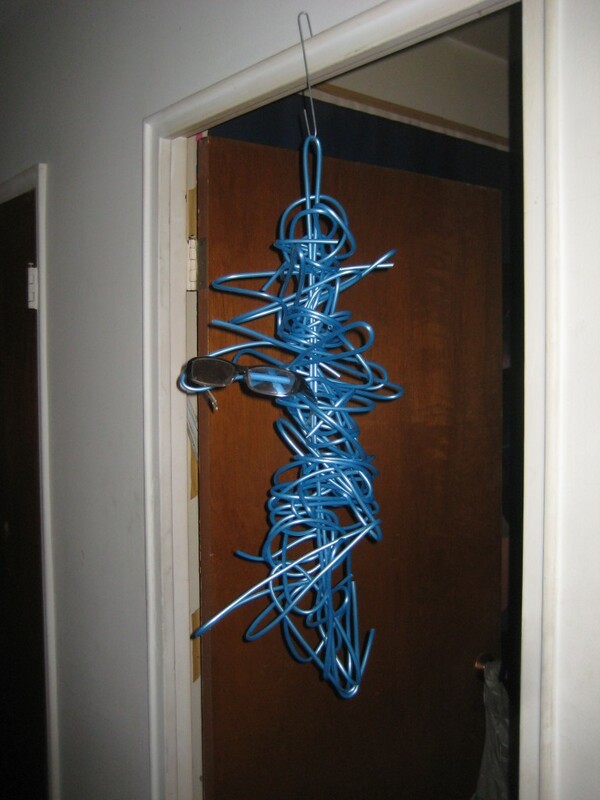 © Copyright 2015 Thomas McAneney, all rights reserved.